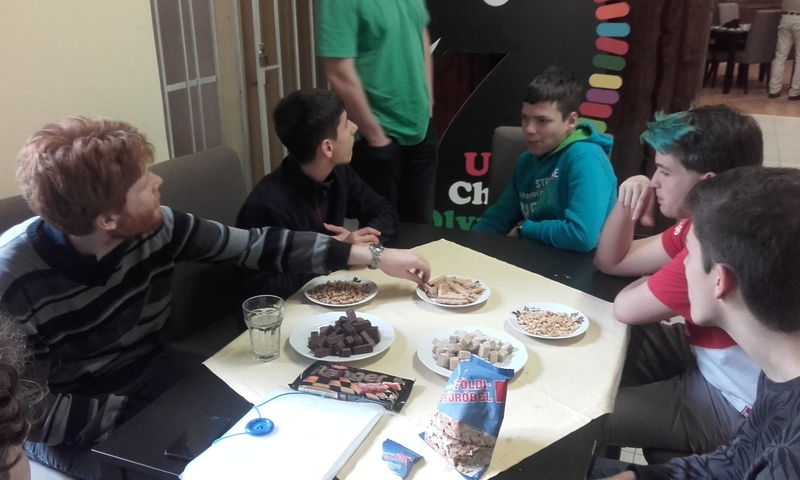 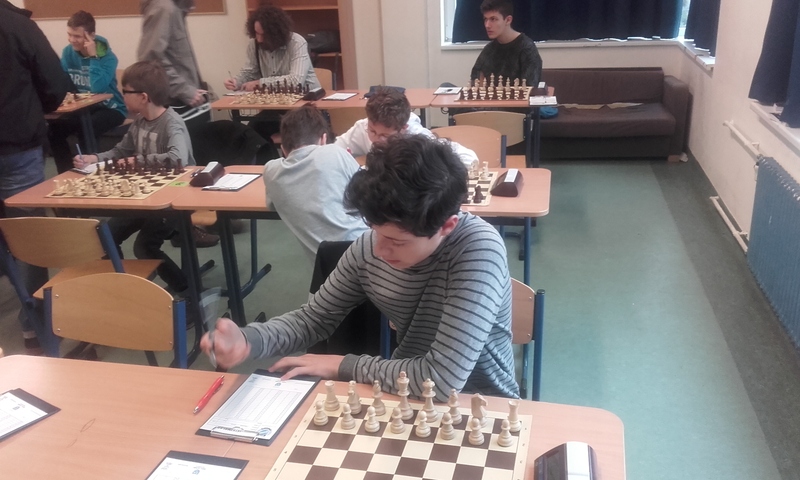 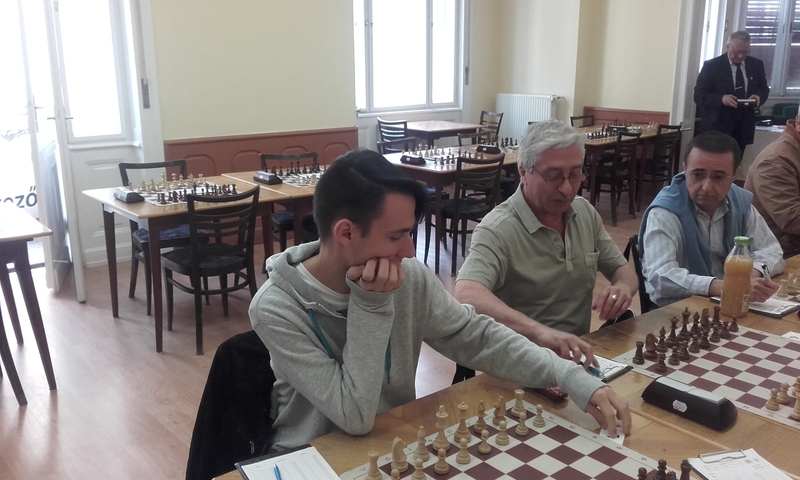 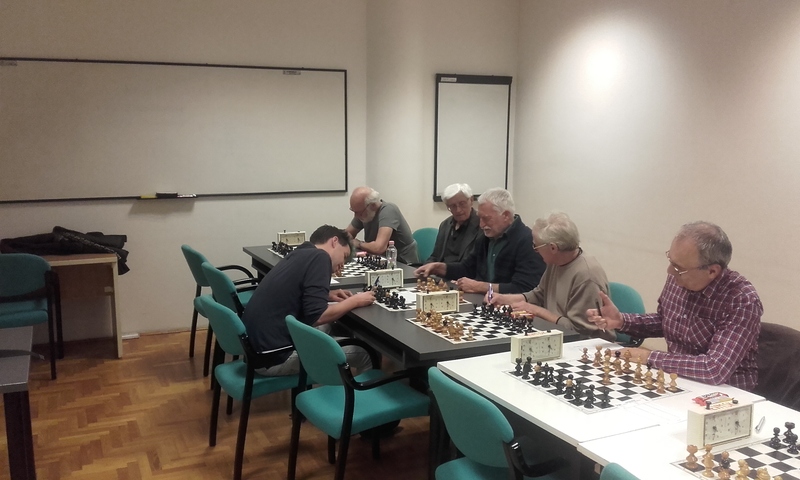 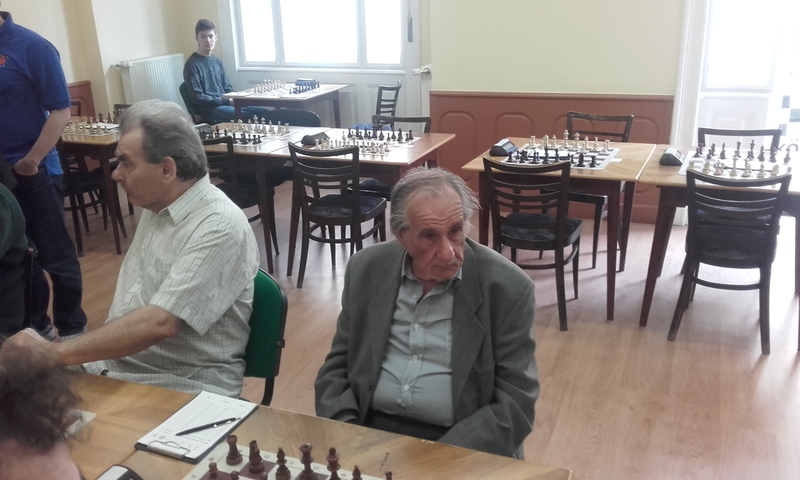 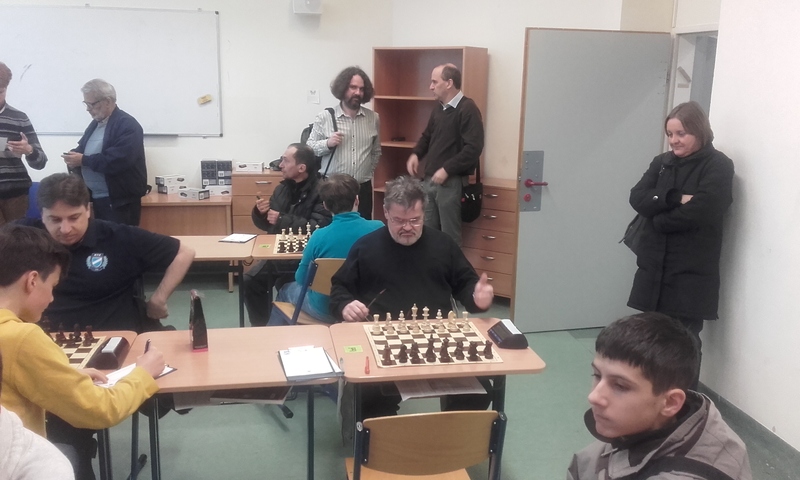 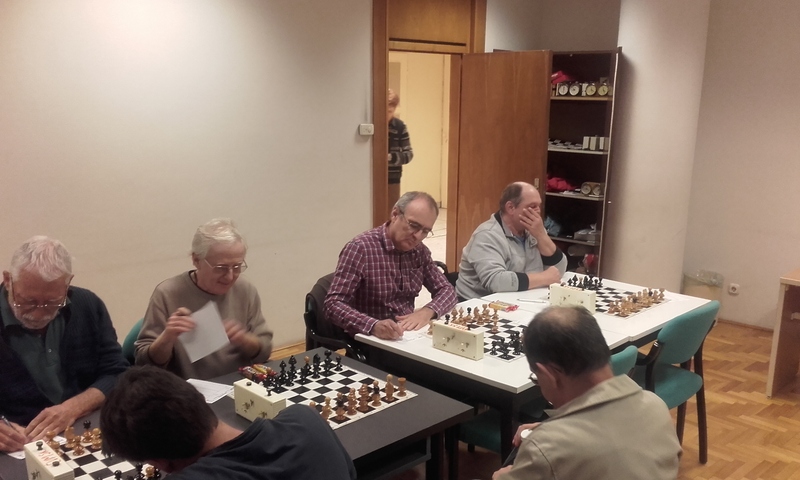 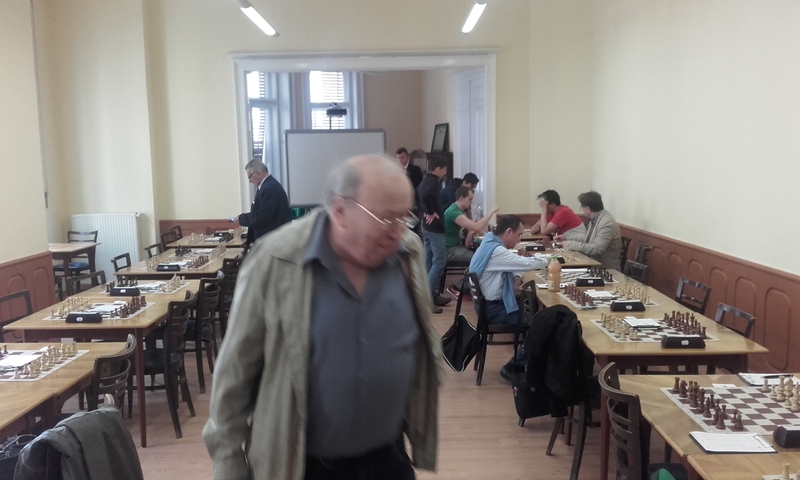 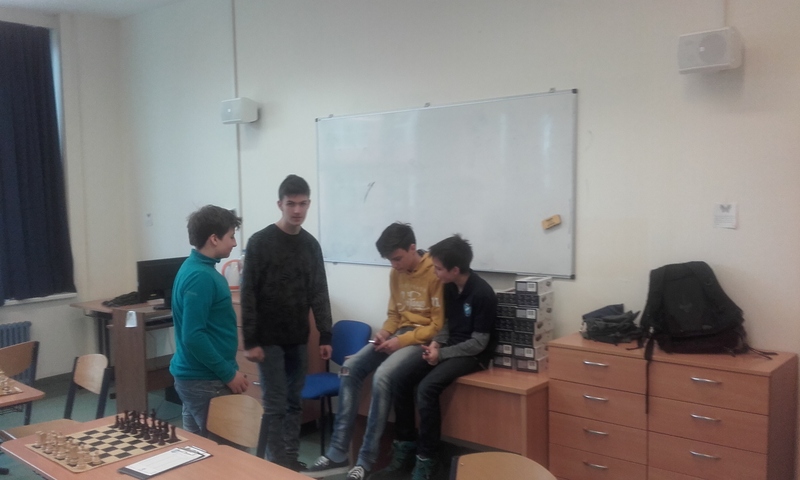 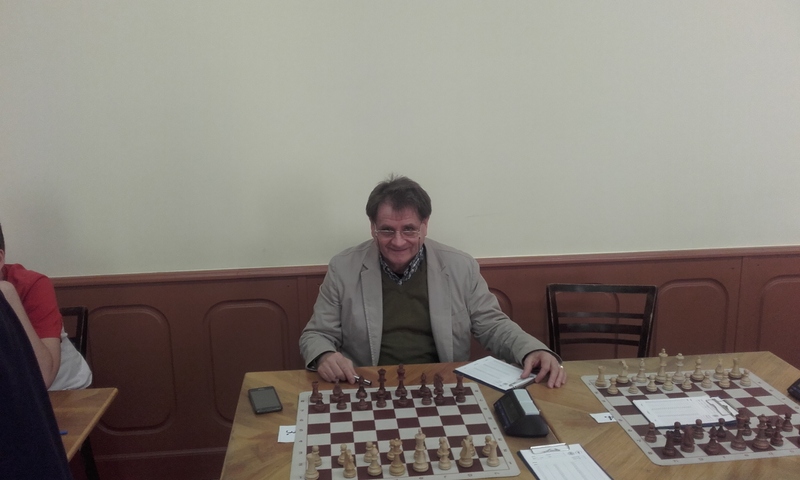 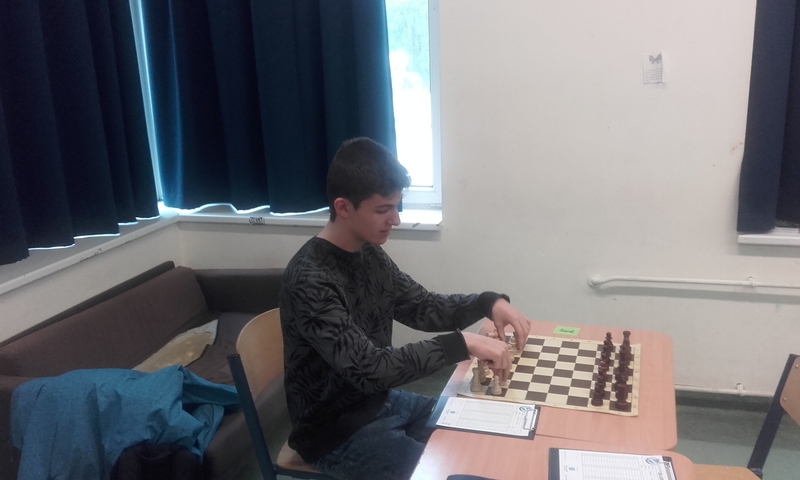 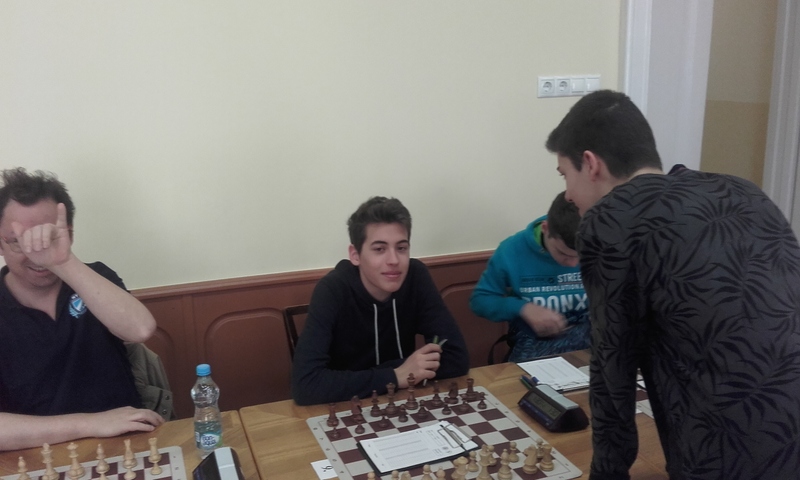 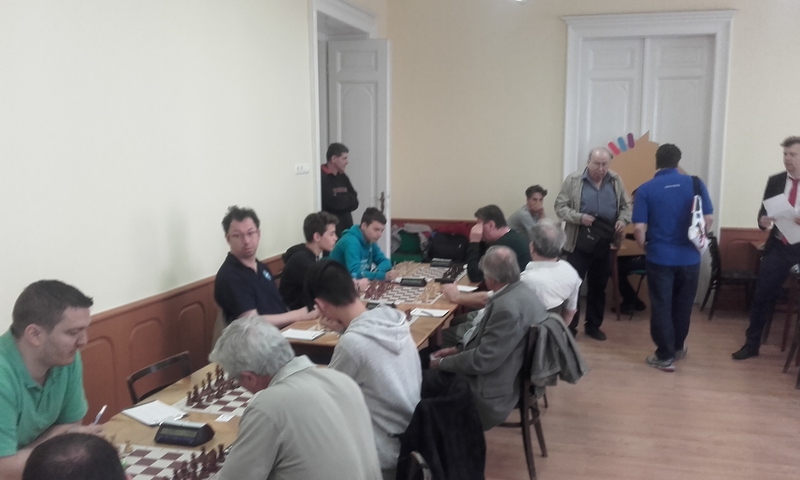 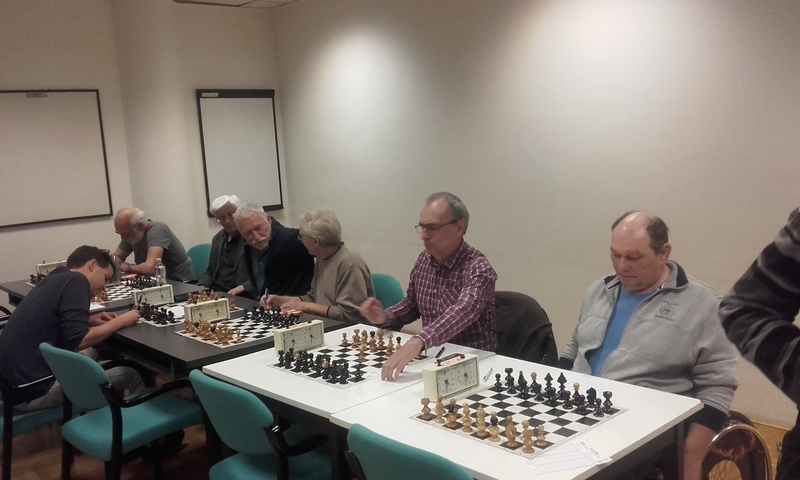 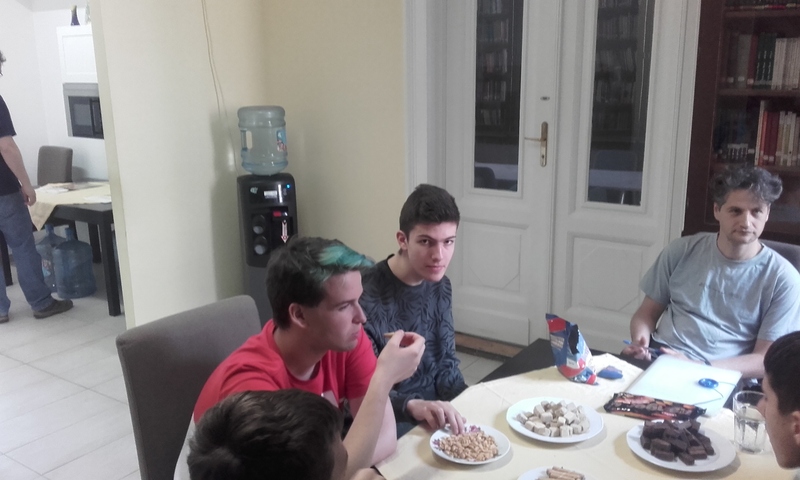 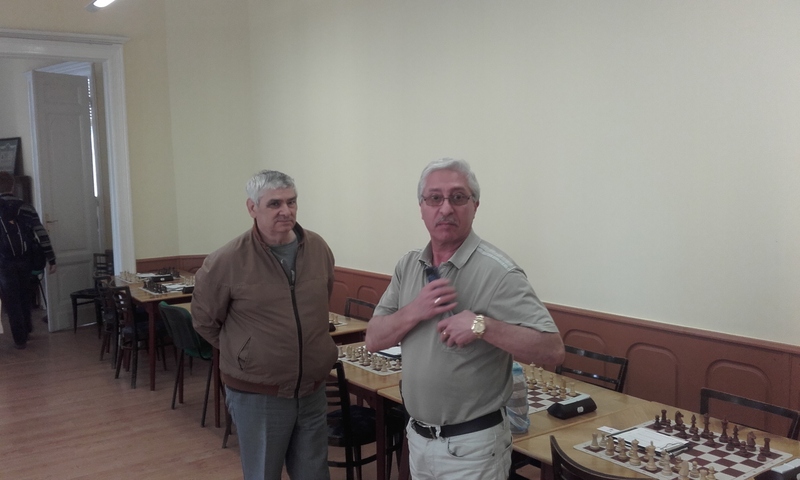 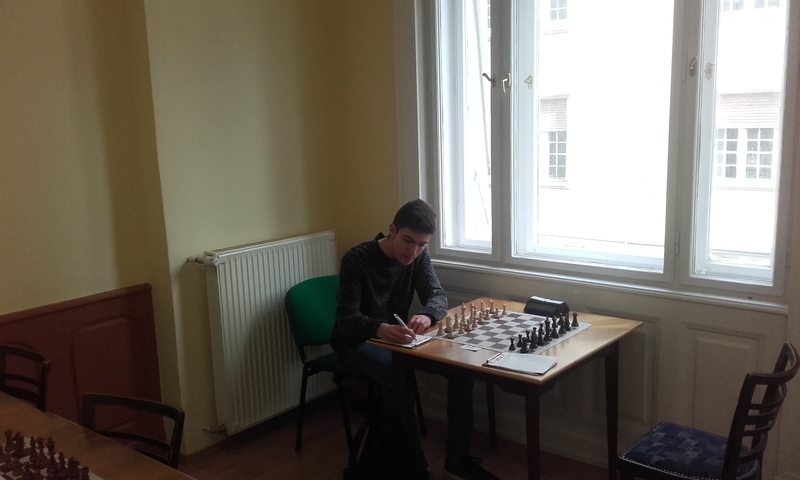 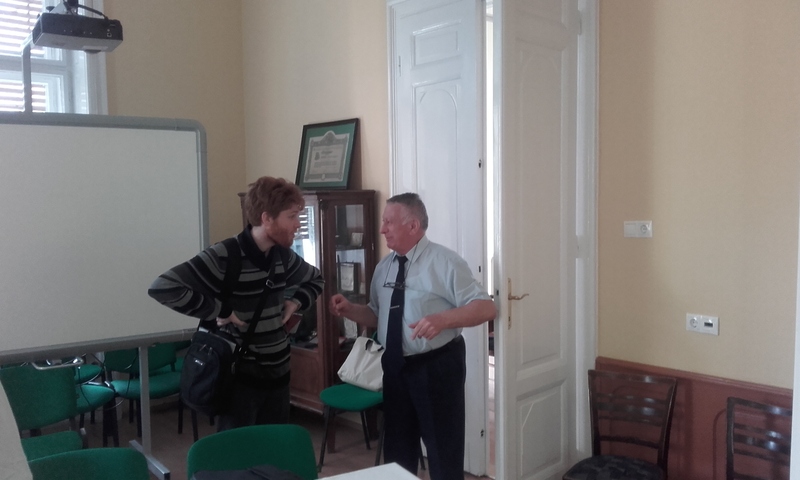 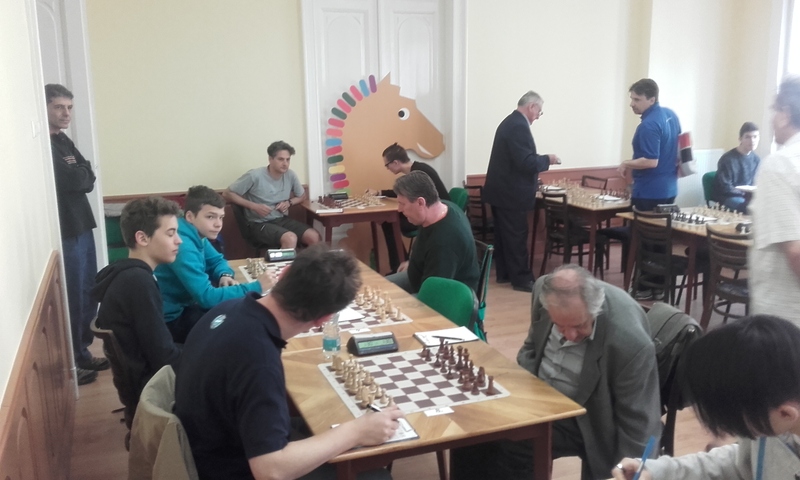 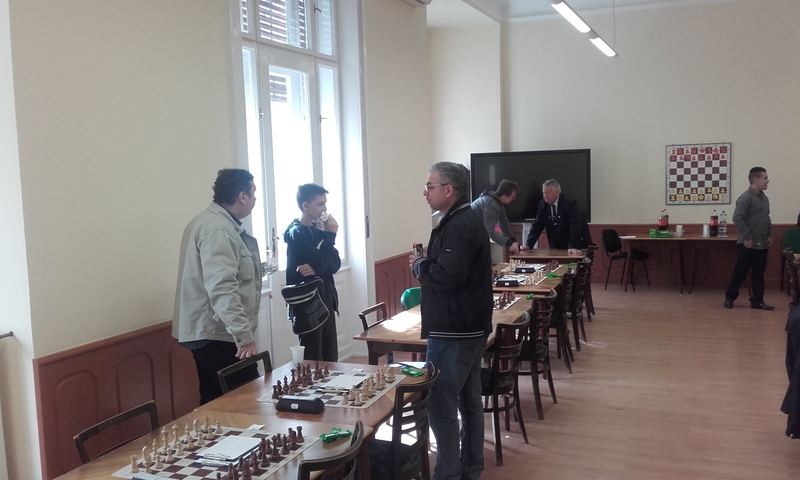 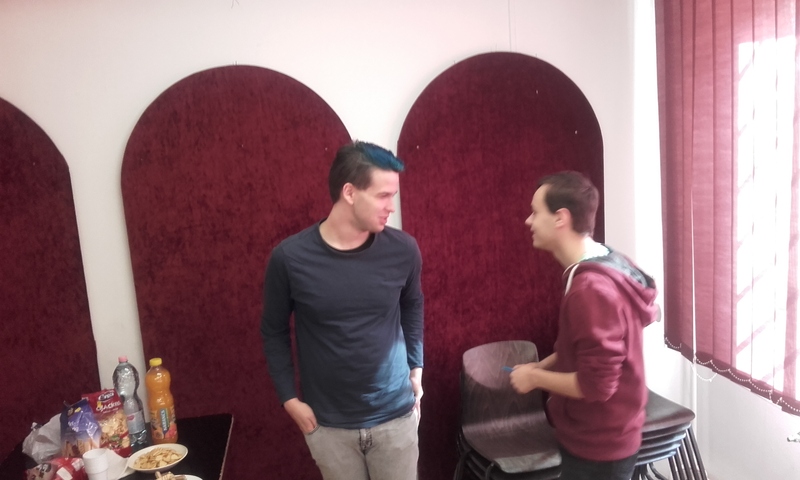 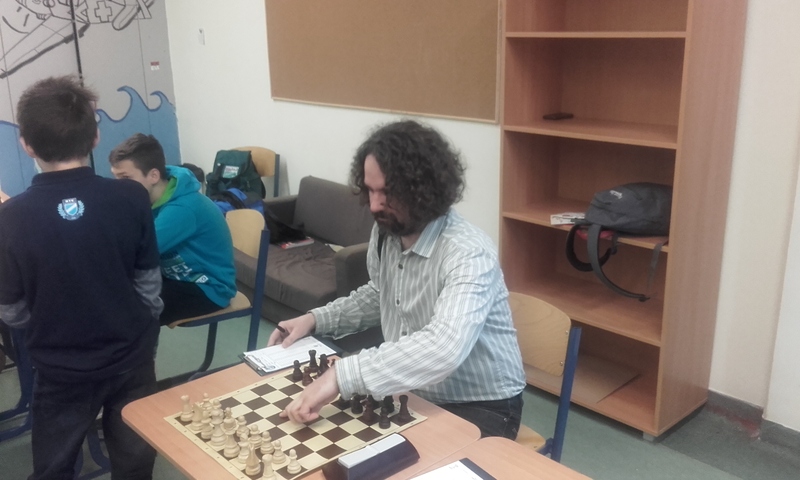 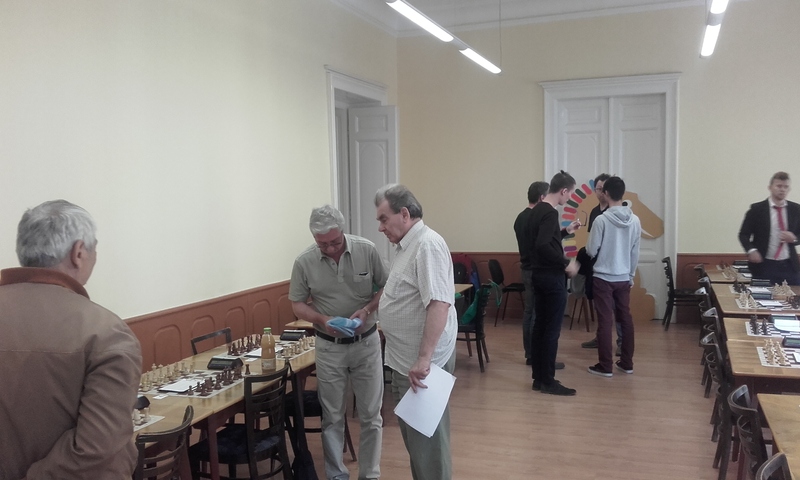 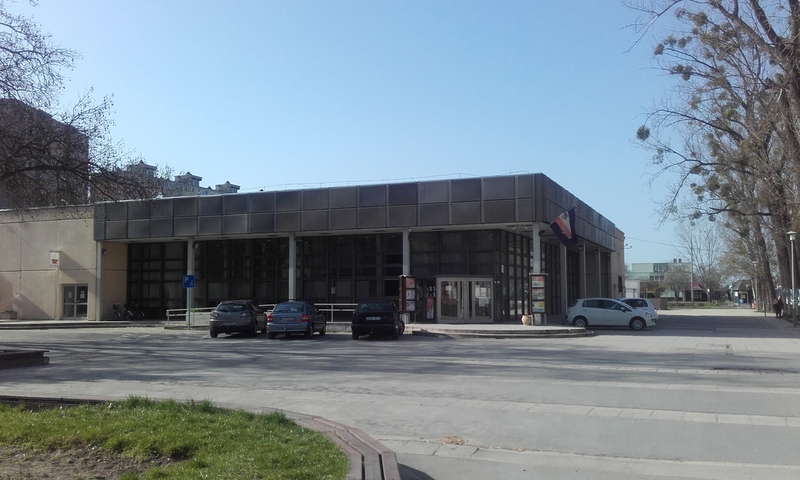 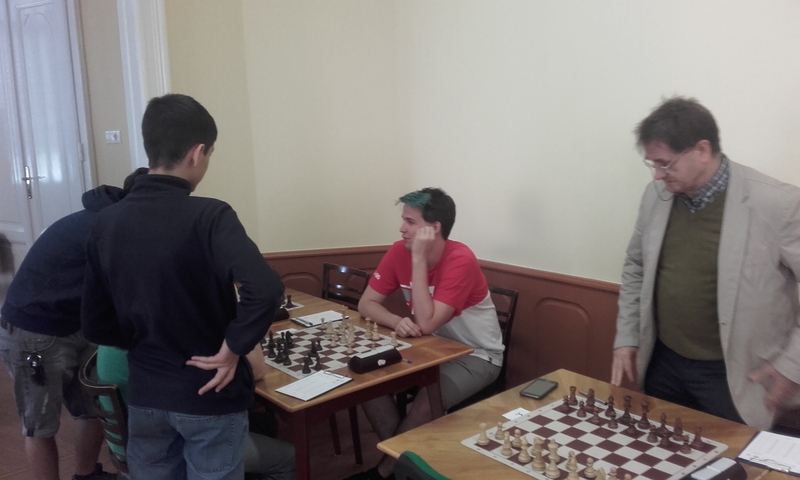 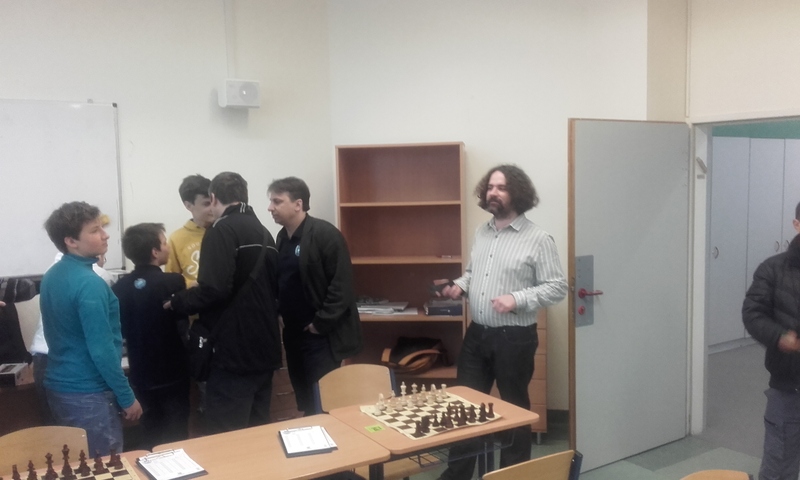 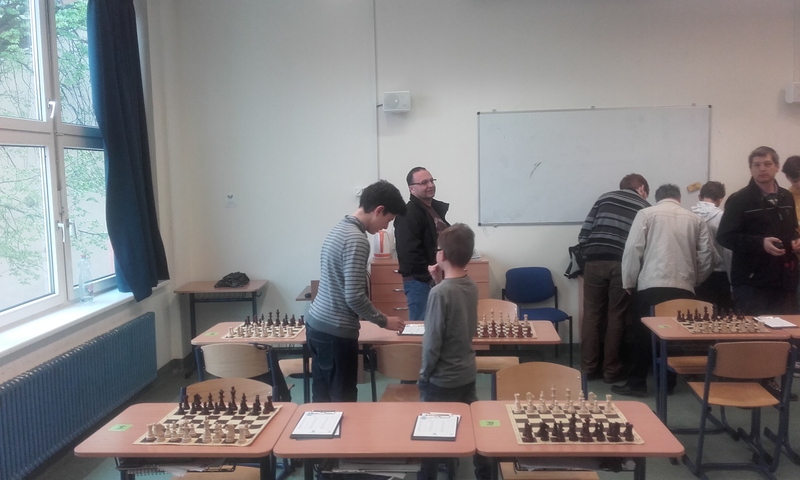 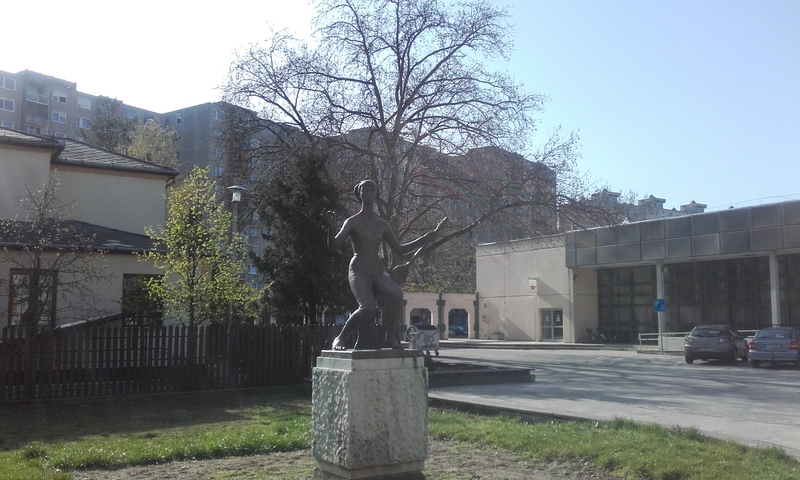 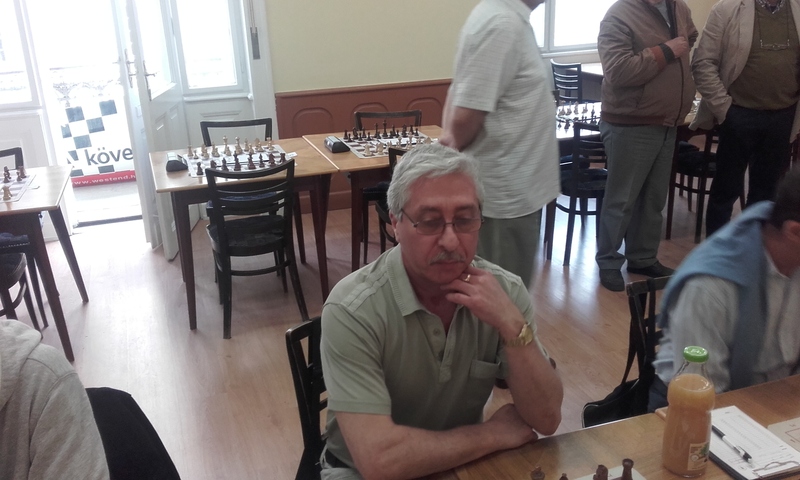 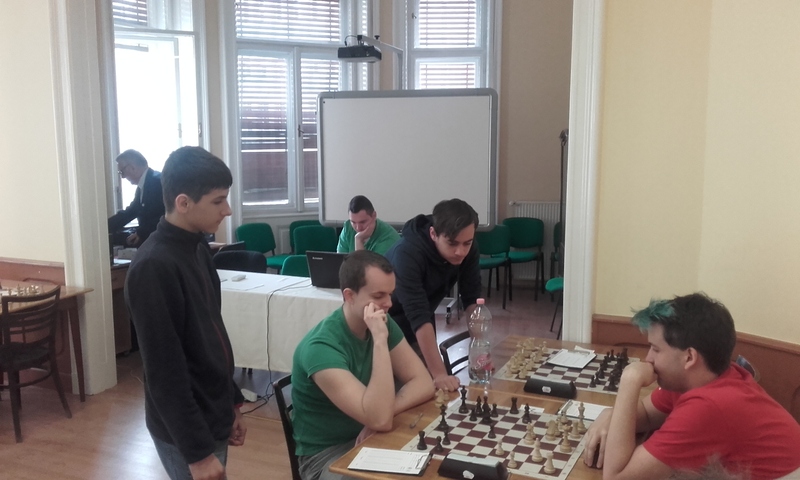 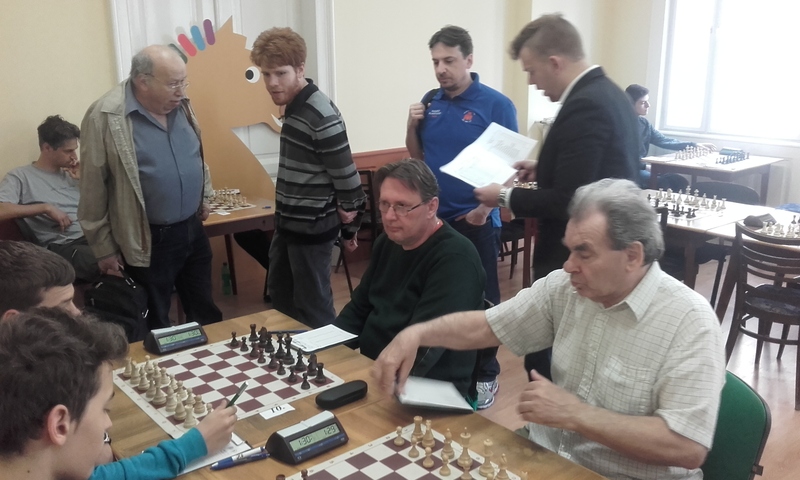 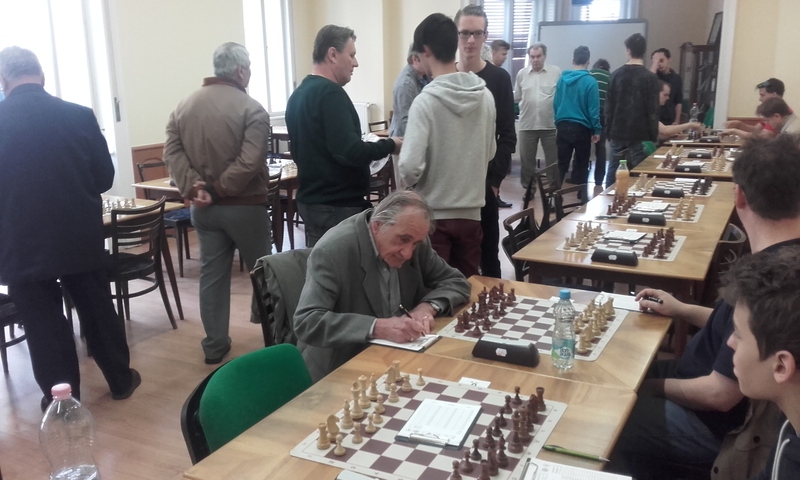 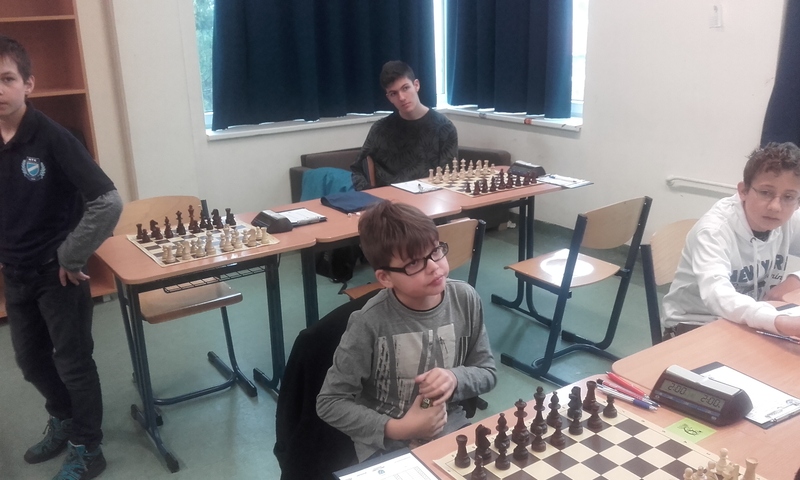 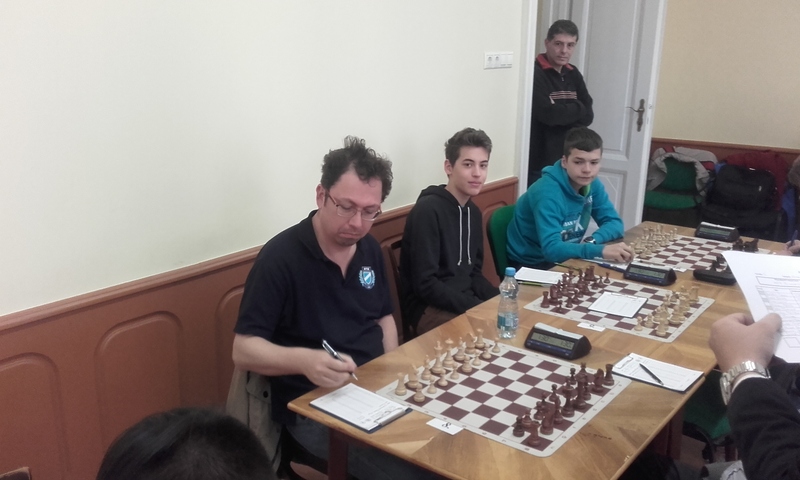 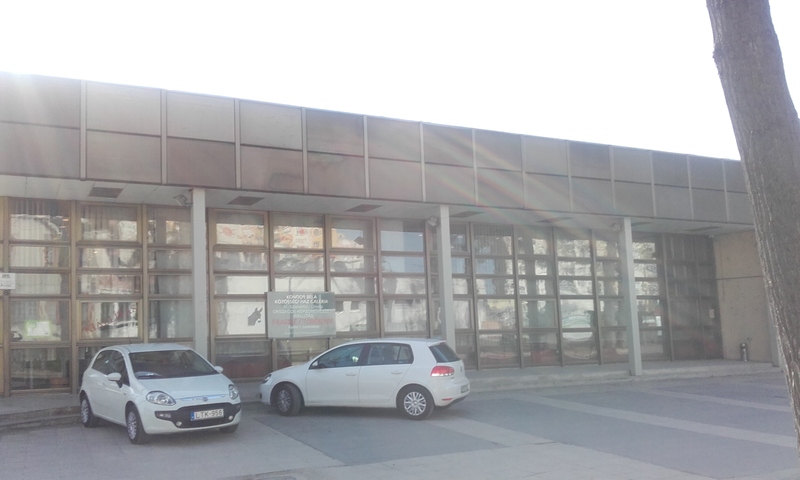 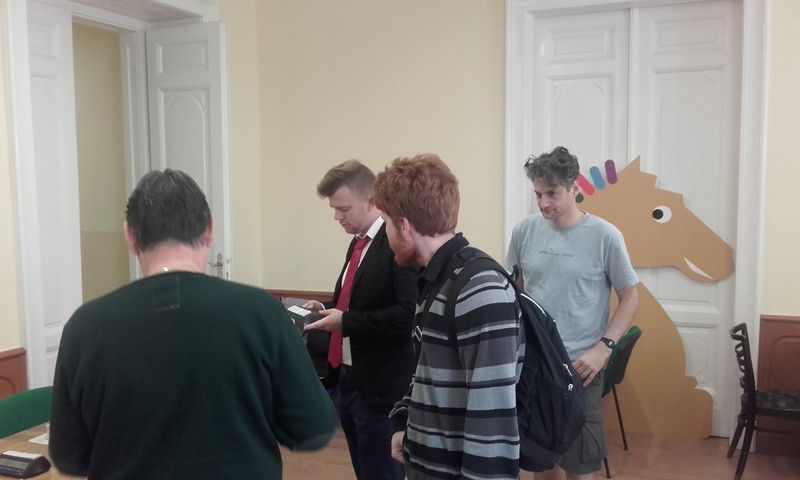 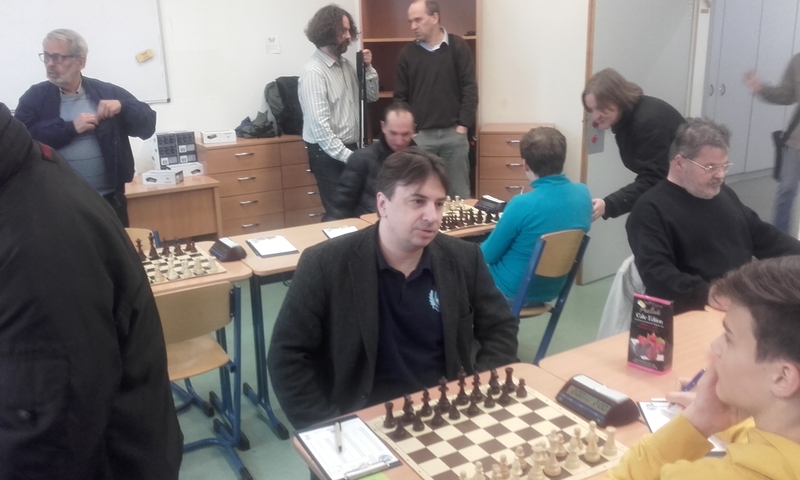 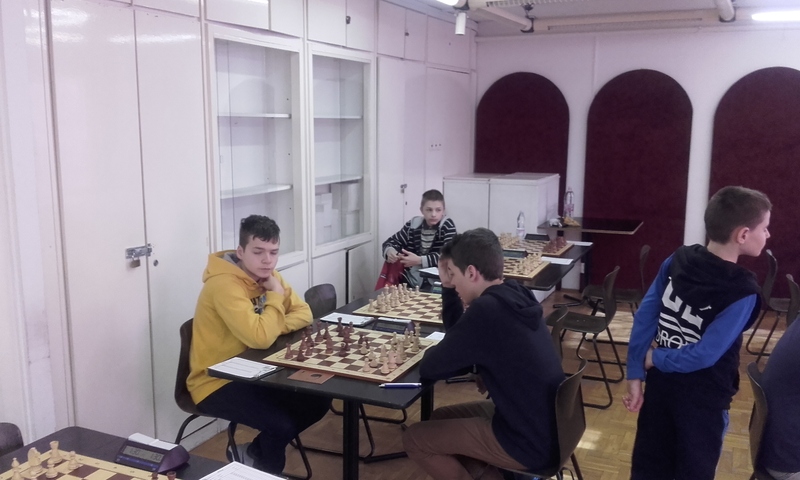 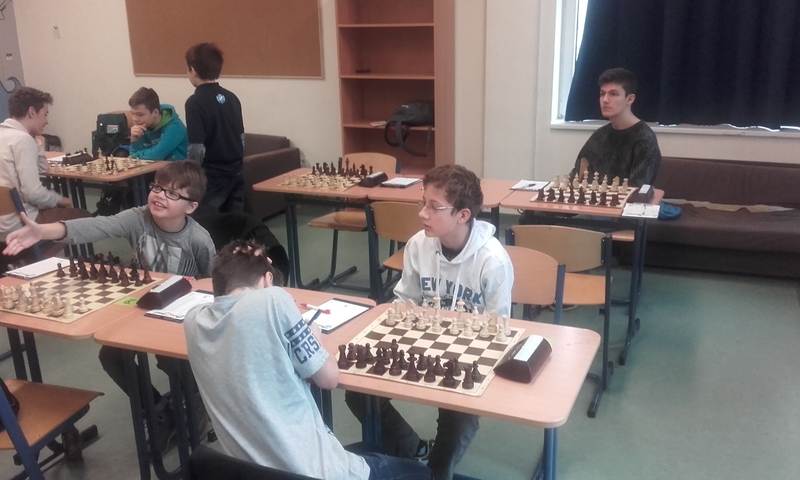 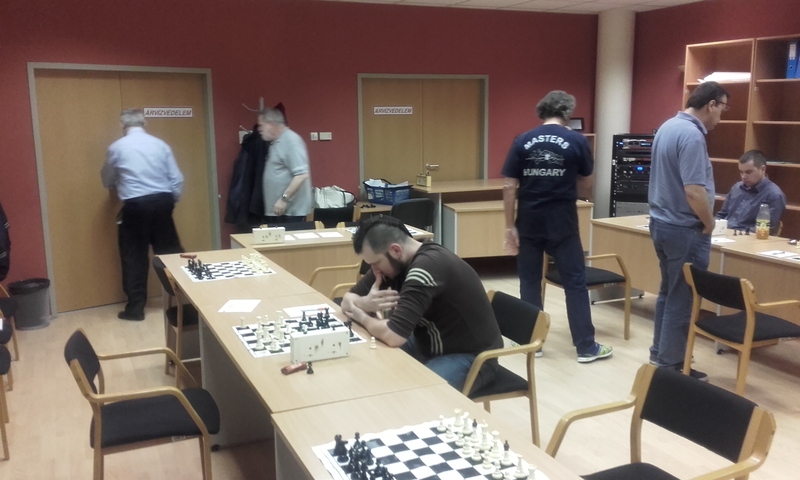 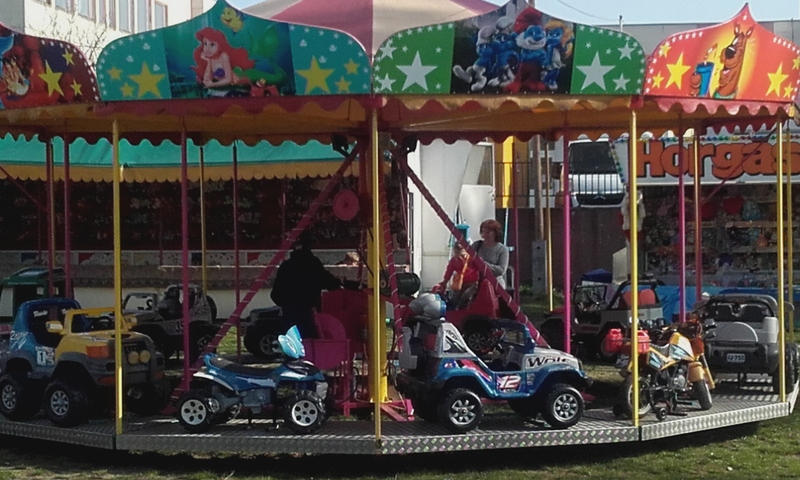 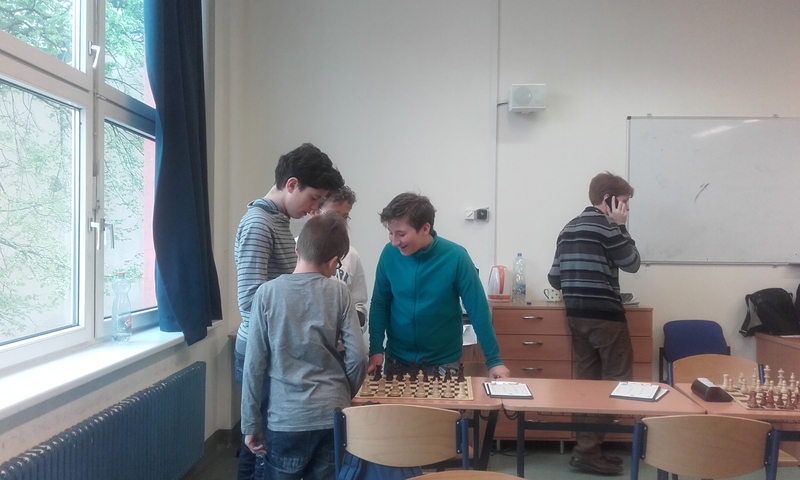 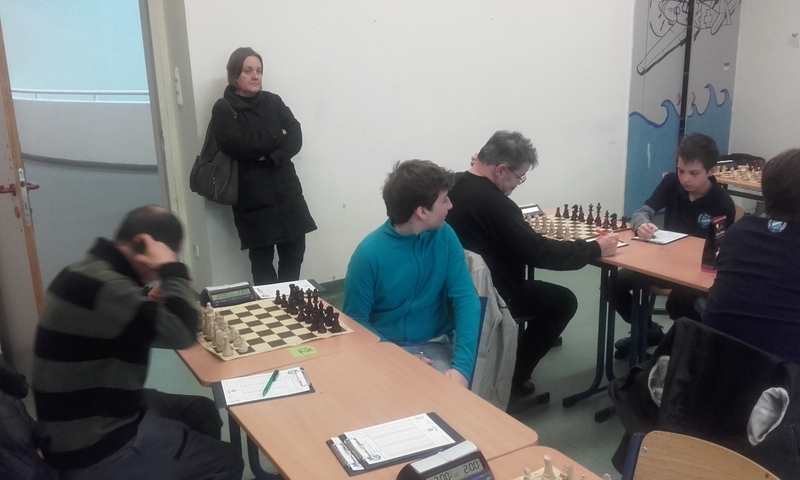 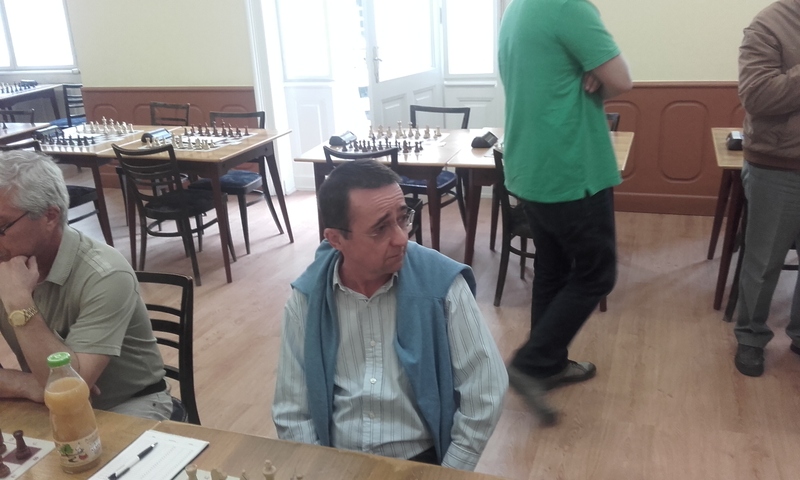 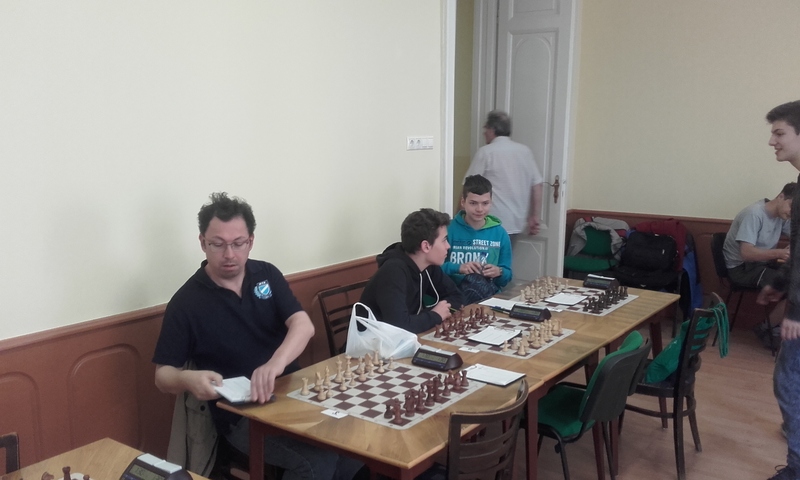 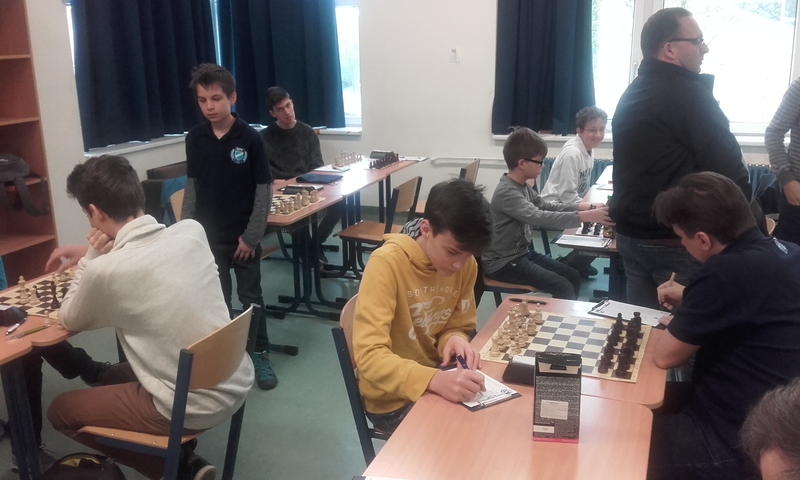 The action was at the Hungarian Federation for the season ending round. 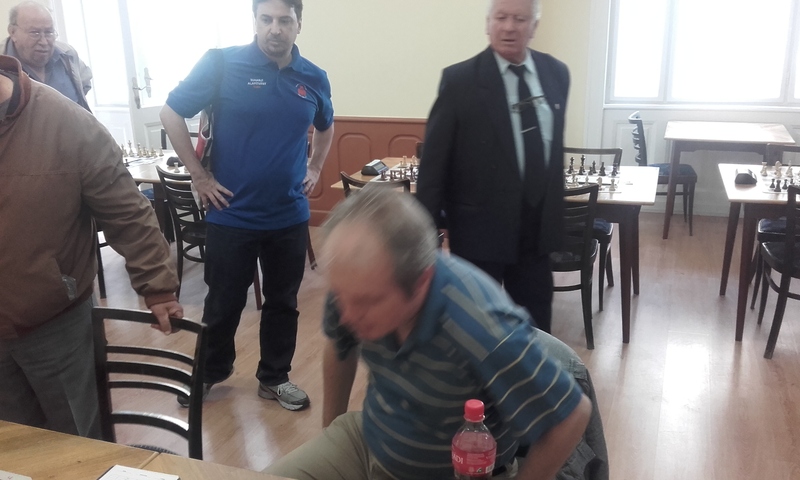 I contributed a short draw on board 7 for MTK II. 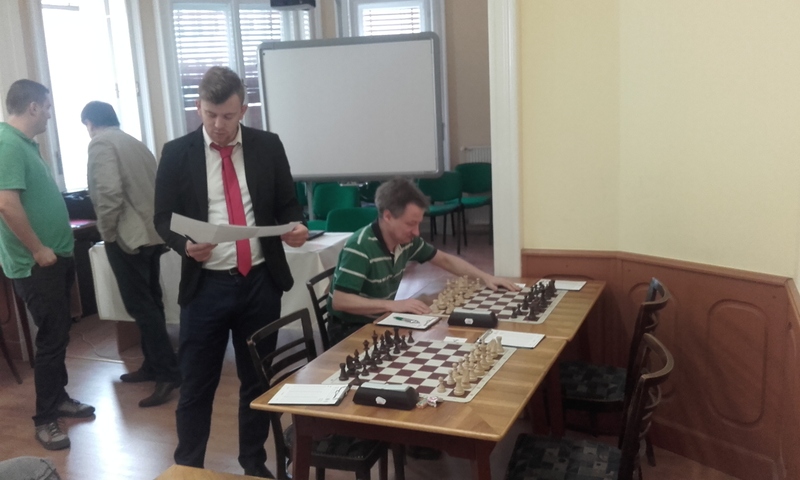 However I should have played on but I was too happy with my mini-edge which was much bigger than I thought after the engines had a quick look at the final position. 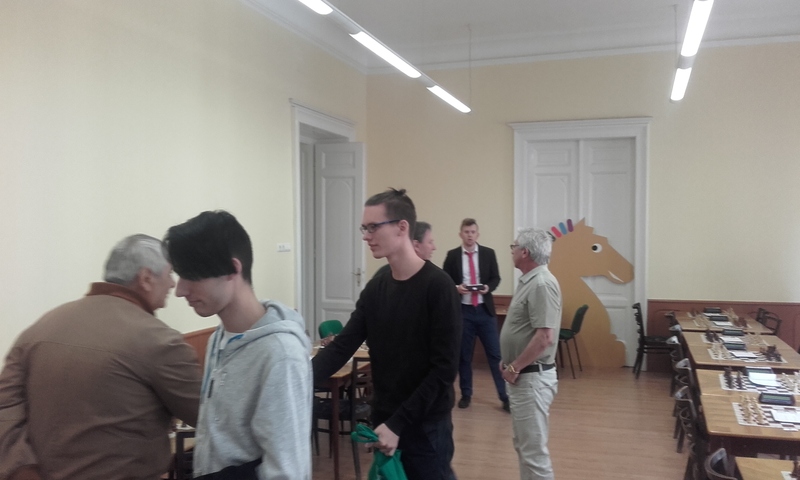 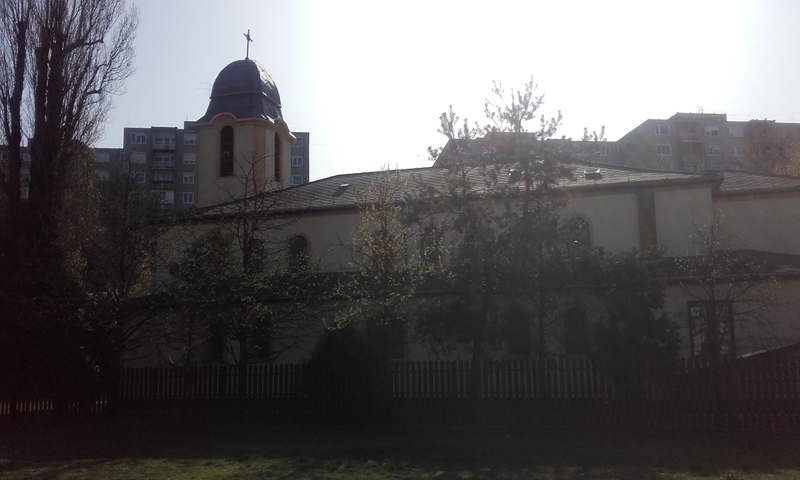 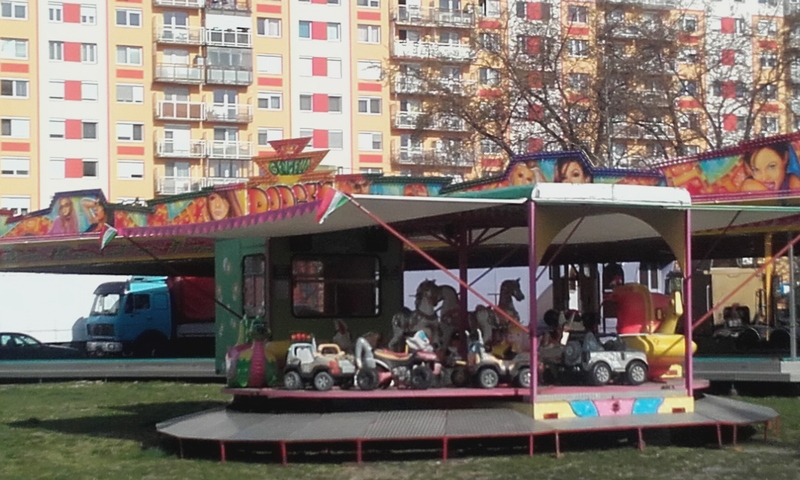 A Rákosliget idénybeli negyedik kontumálásáért 2 büntetőpontot kapott. 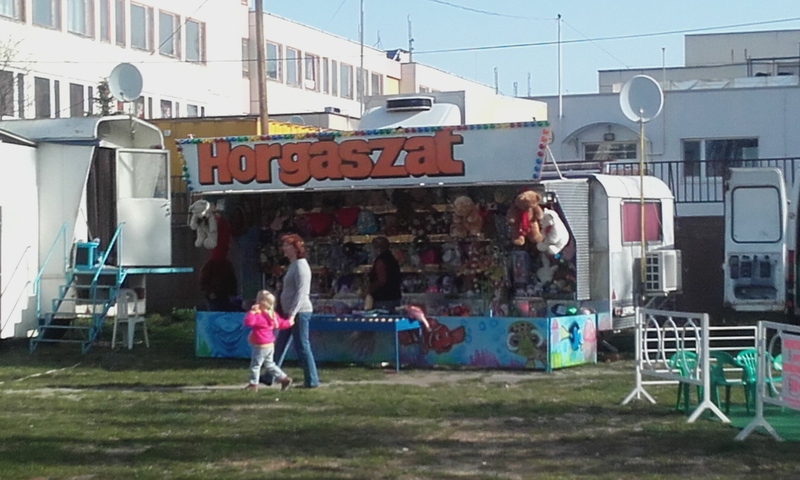 A BEAC IV csapata idénybeli harmadik kontumálásáért 2 büntetőpontot kapott. 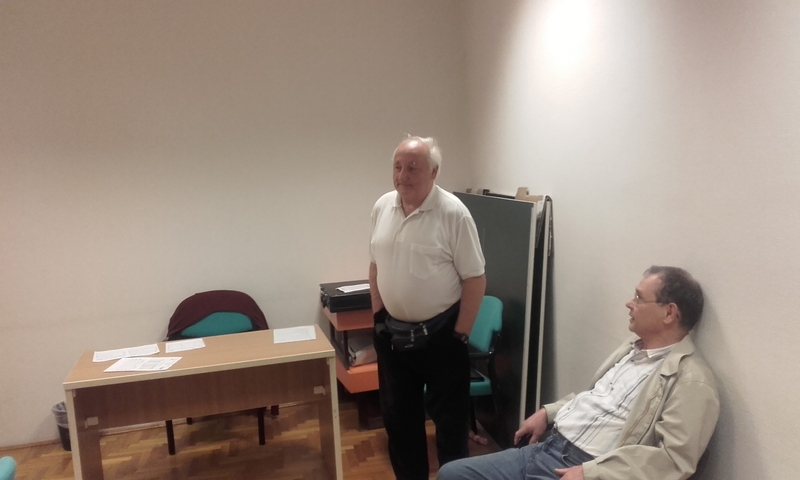 Farkas Csaba idénybeli másodszori kontumálásáért további 1 büntetőpont levonásra került. 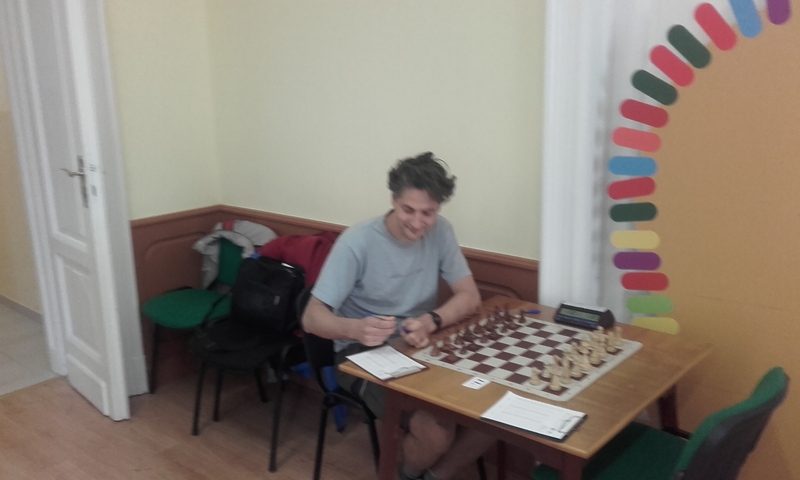 I stuck with the solid Queen’s Indian with ..Na6 and with some imperfect play steered towards and equal or more than equal position. 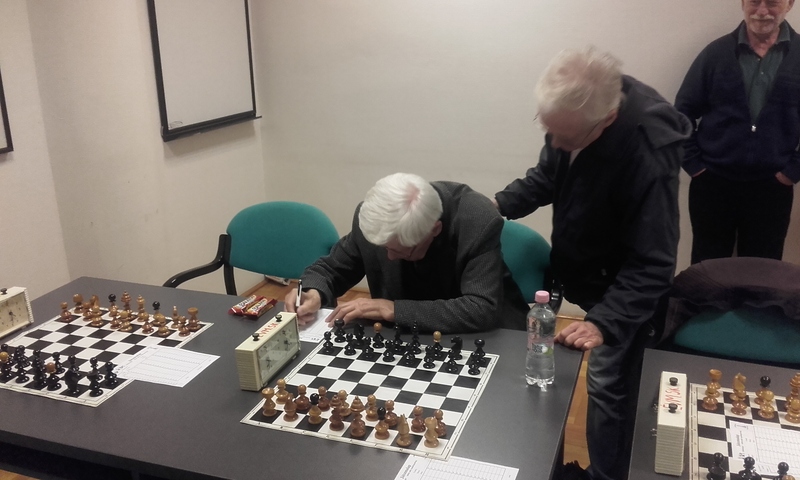 I offered a draw thinking that it would not be refused, and I was right. 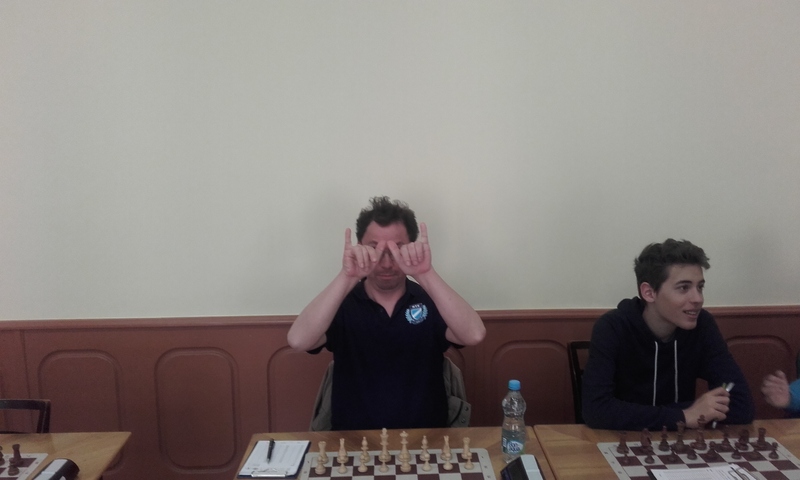 This gesture means something to some people….Just not me. 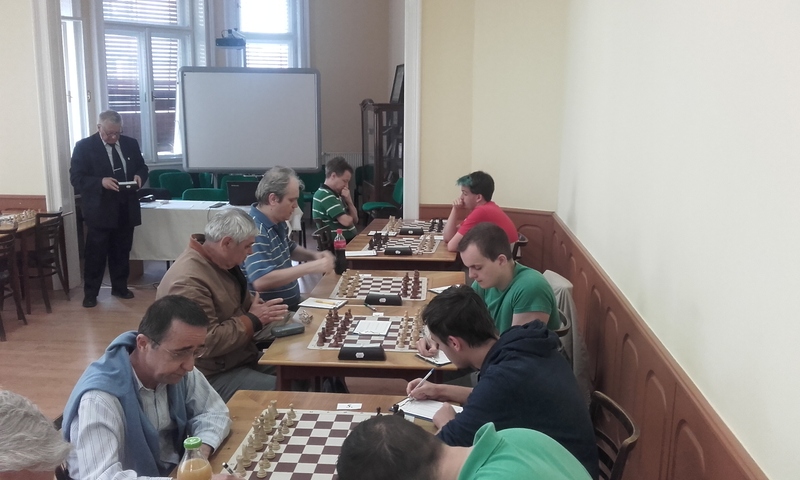 MTK beat Sztaki won the 6-Board TCh in the process. 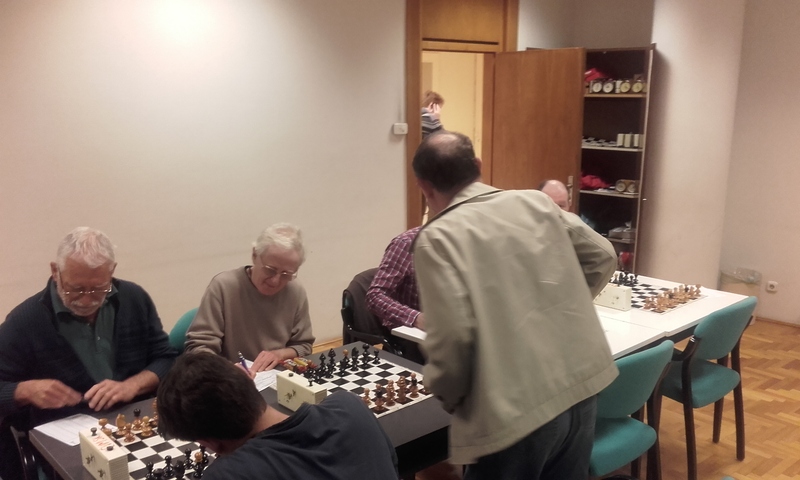 We needed 4 points to take first overall and won 5.5-0.5. 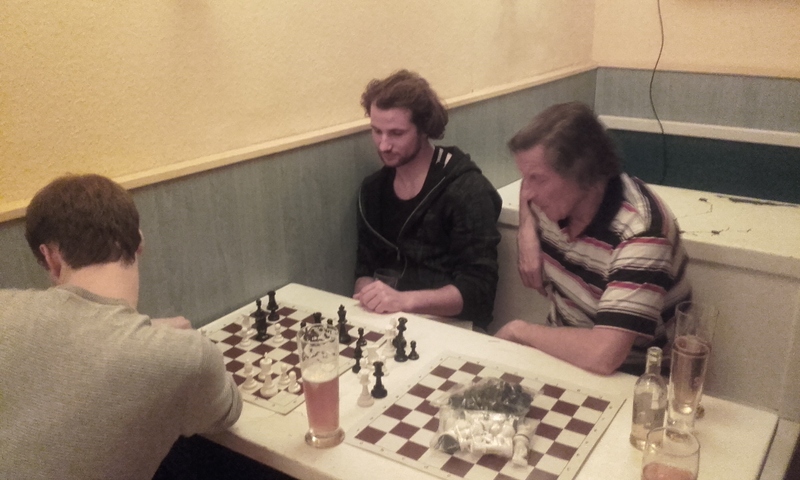 There was postgame tandem chess,pizza and beer at the Bumblebee bar/cafe paid for by the Captain so everyone was happy. 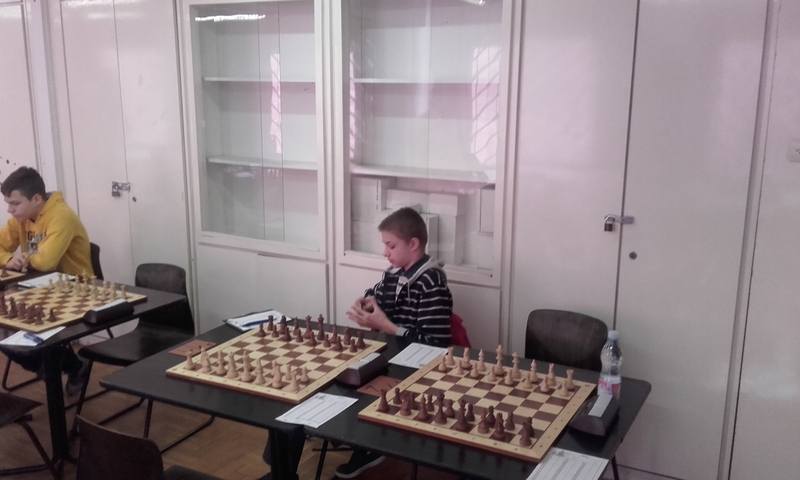 I equalized easily in the opening and got a fine position early. 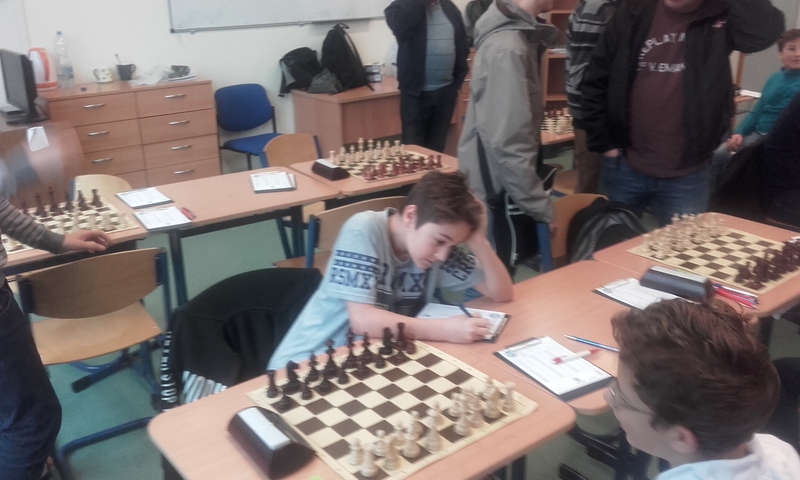 Black pressed the queenside and managed to induce all the White pieces to defend the queenside leaving the kingside wide open. 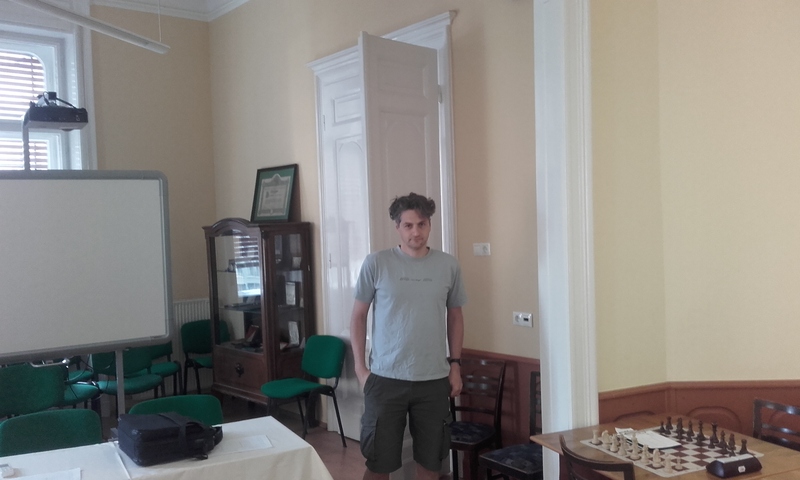 I continued with 27..Qd7 and finished with a nice attack. 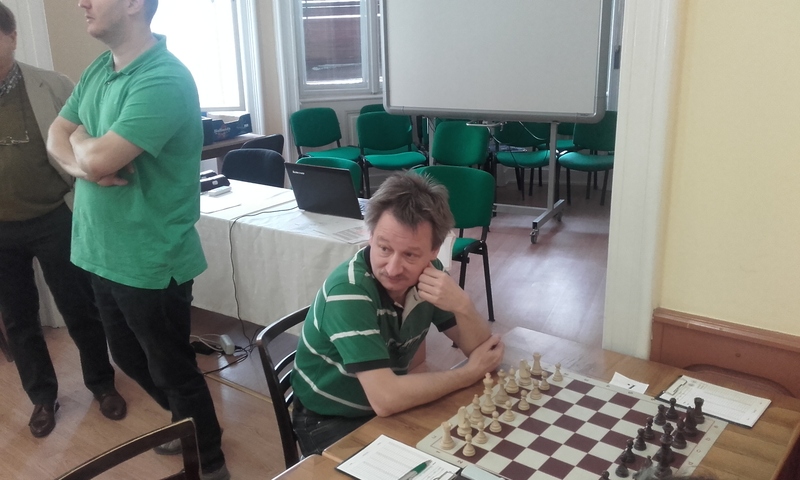 MTK Team Captain Attila Balla. 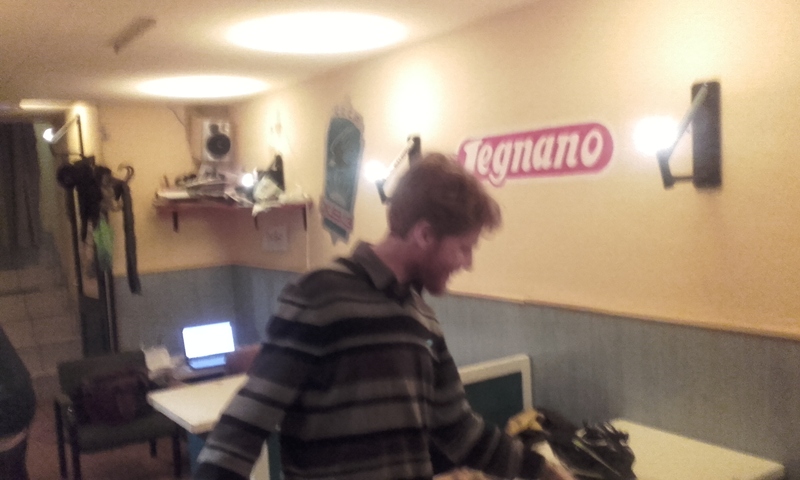 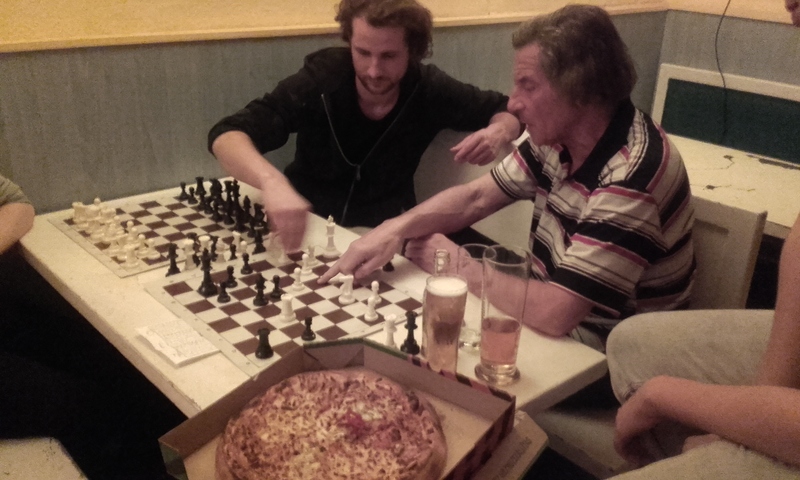 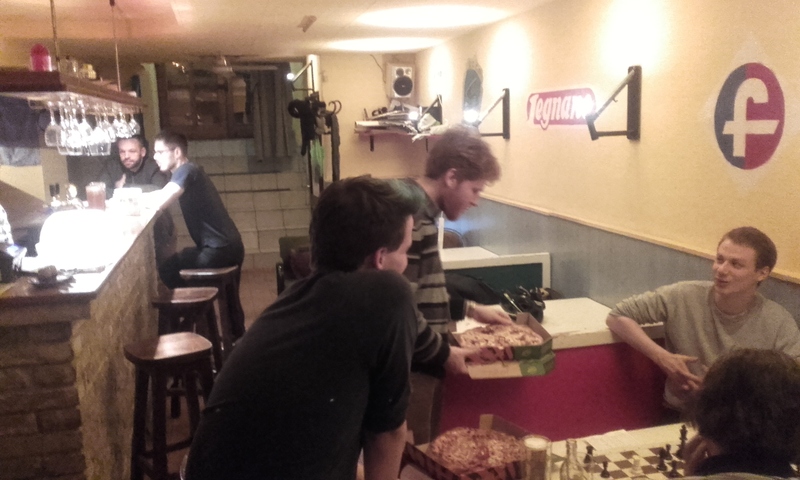 Post game pizza and tandem chess courtesy of team captain Attila Balla. 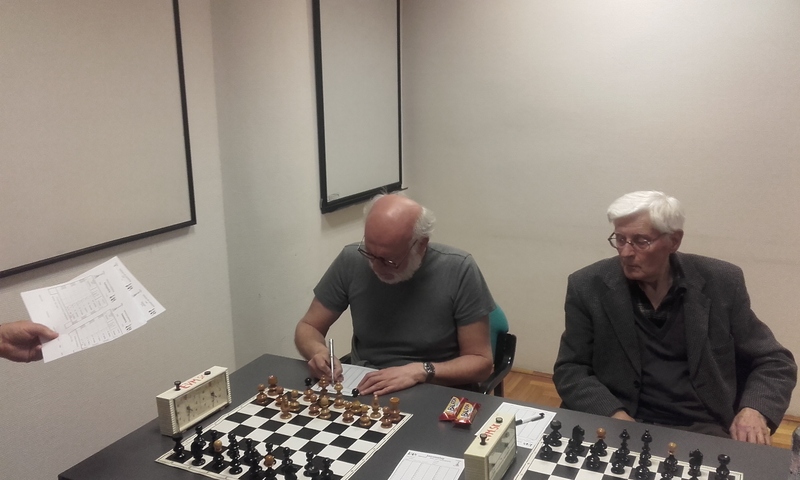 I fumbled around with the Sicilian and still have miles to go before having a real understanding of the small centre structure. 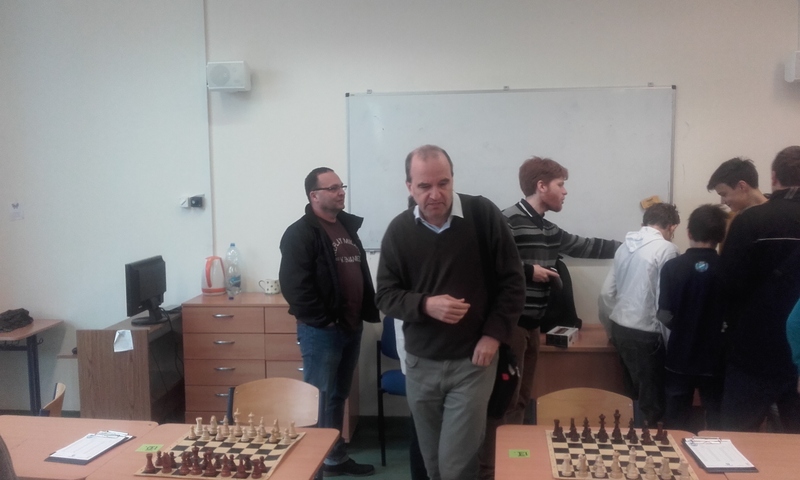 It felt like I was suffering the whole middlegame, falling to big pressure in the centre and on the kingside. 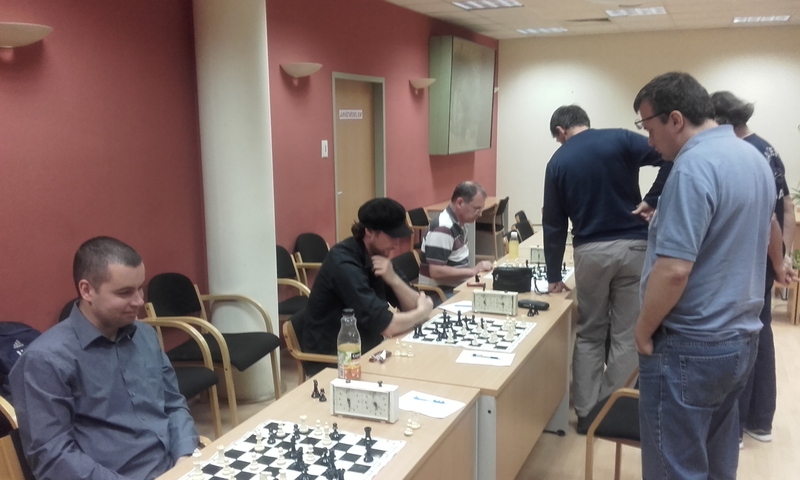 I dropped an exchange early to some nice tactical play and relied on luck and good nerves to stay in the game. 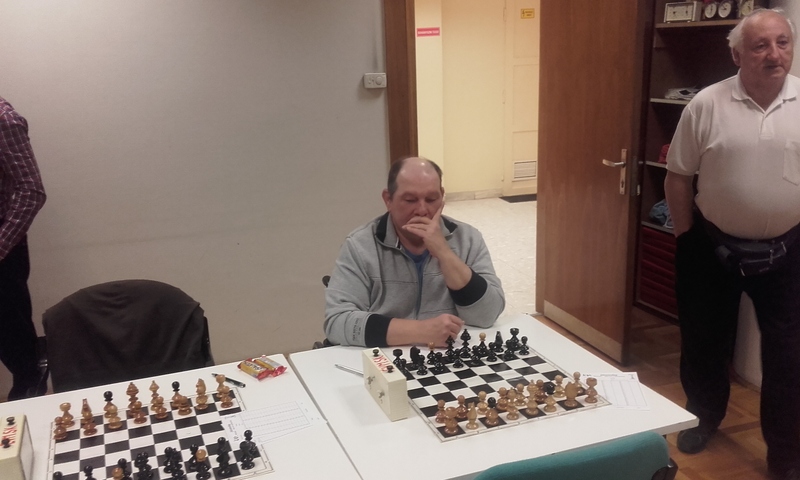 At some points my opponent could not find the killing idea and I kept surviving. 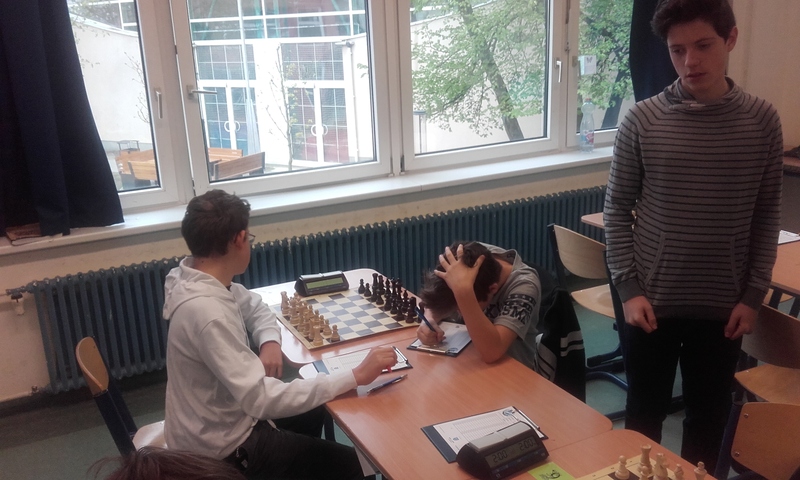 I was able to offer a queen trade which was quickly accepted due to time shortage and then the game turned. 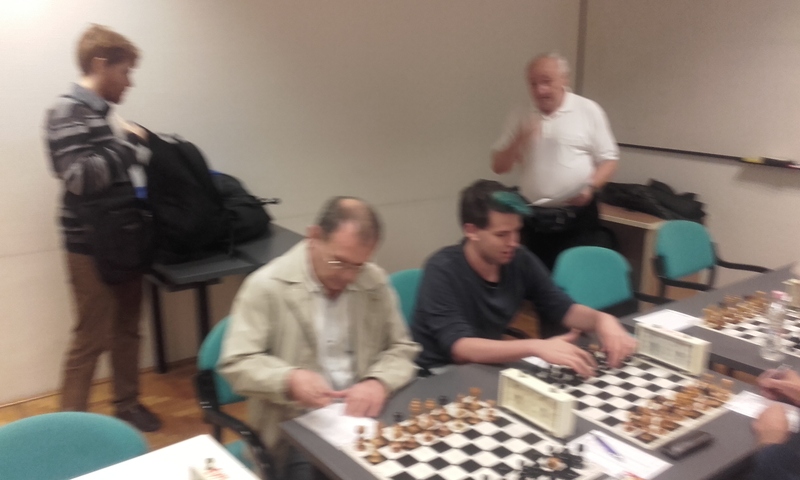 I had RBB and a P against RRB but great chances with a passed a-pawn and good dark square control. 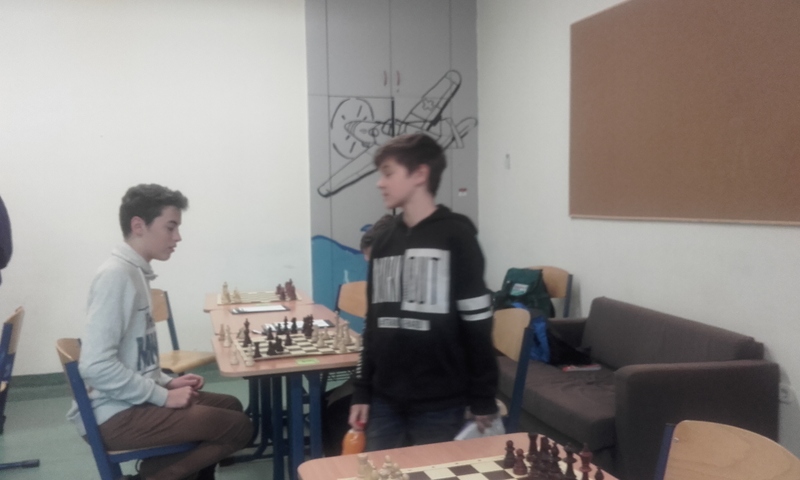 My opponent had me on the ropes for most of the game but could not find a way to kill me off. 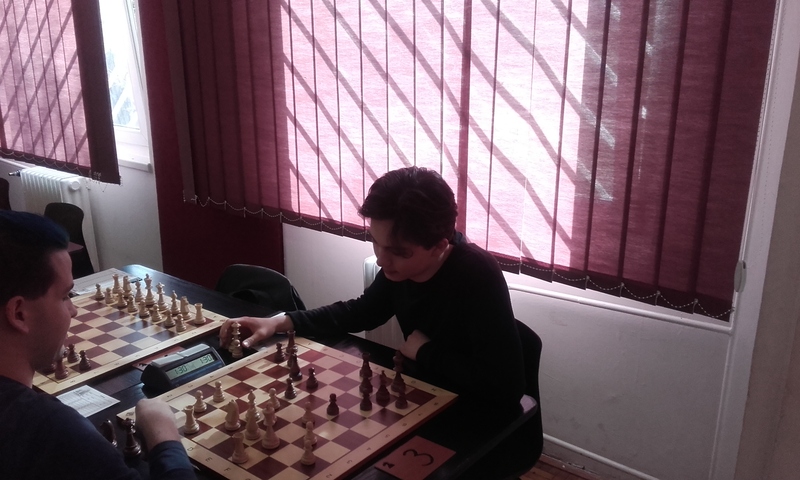 I kept pushing the a-pawn and the dark bishop was boss, in full control of the promotion square a1. 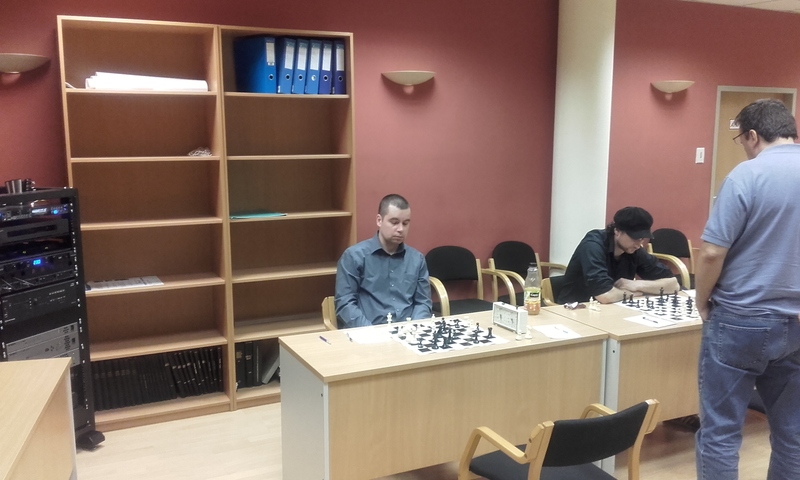 White has no targets or counterplay and the advantage of the exchange was meaningless. 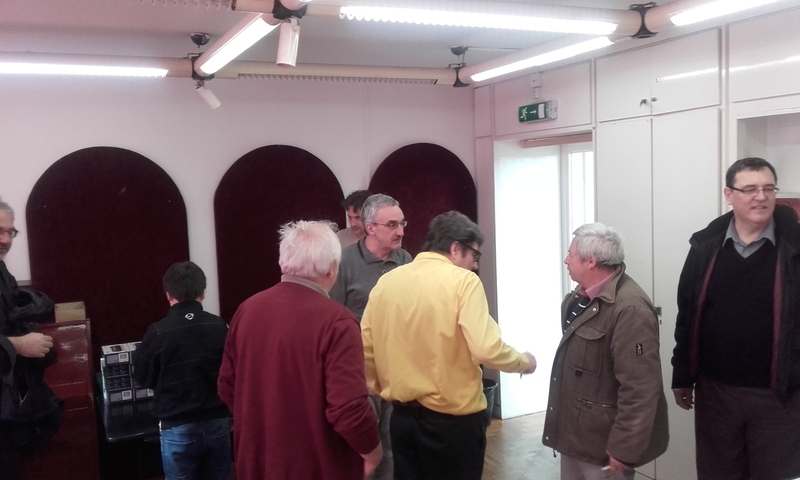 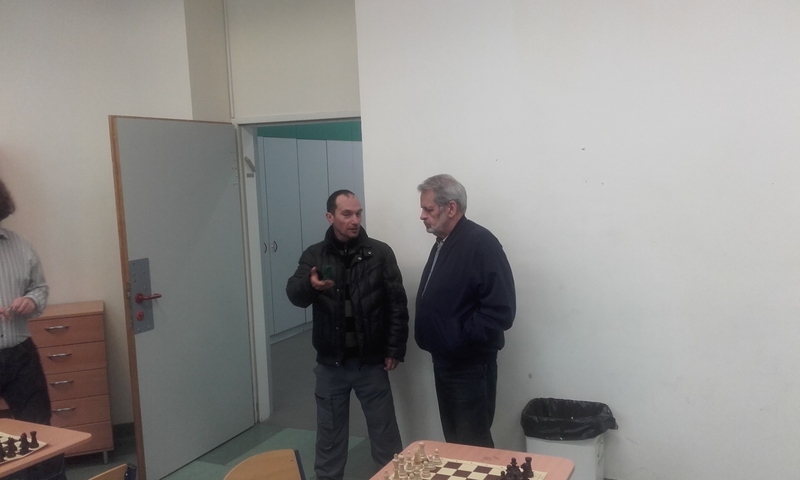 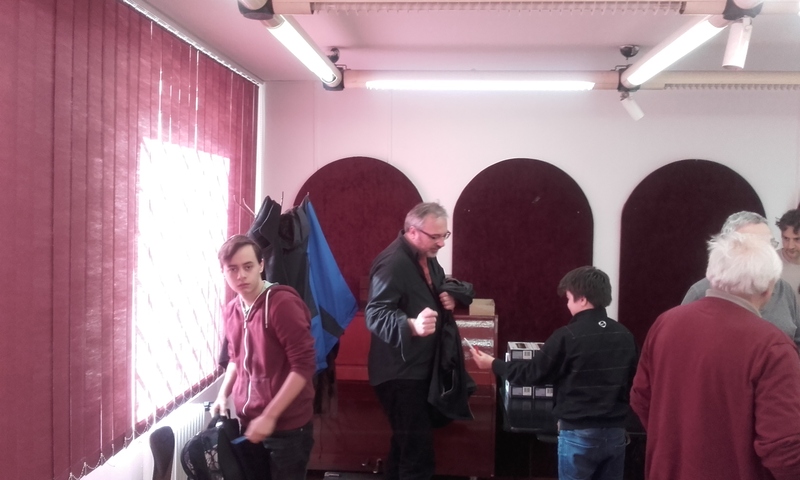 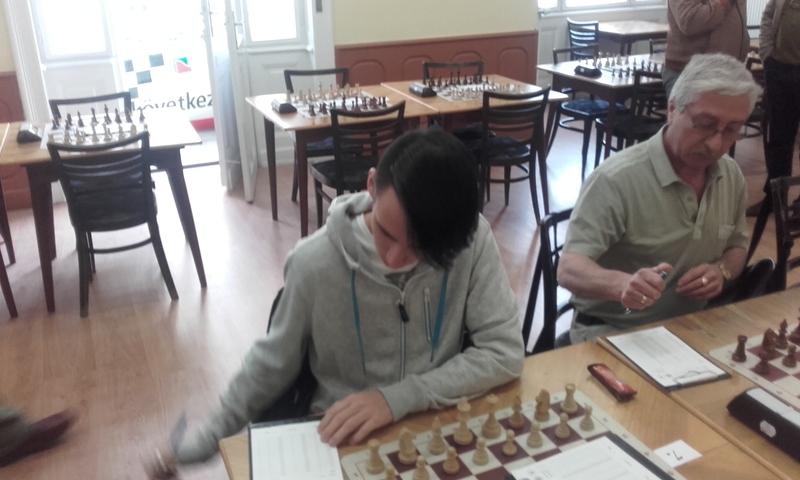 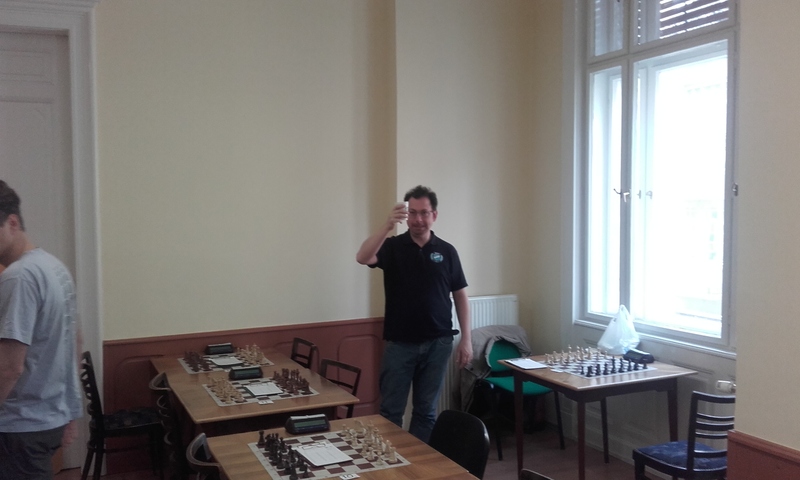 GM Balogh,Csaba is keeping very busy! 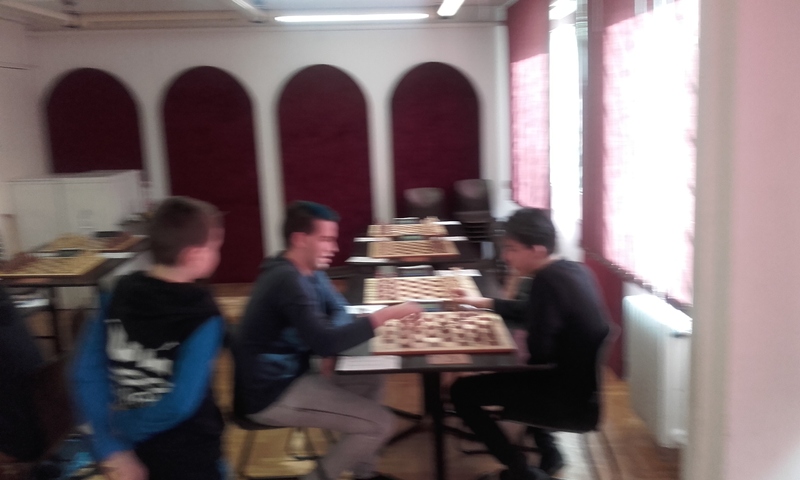 I lost quite horribly after misplaying a standard position. 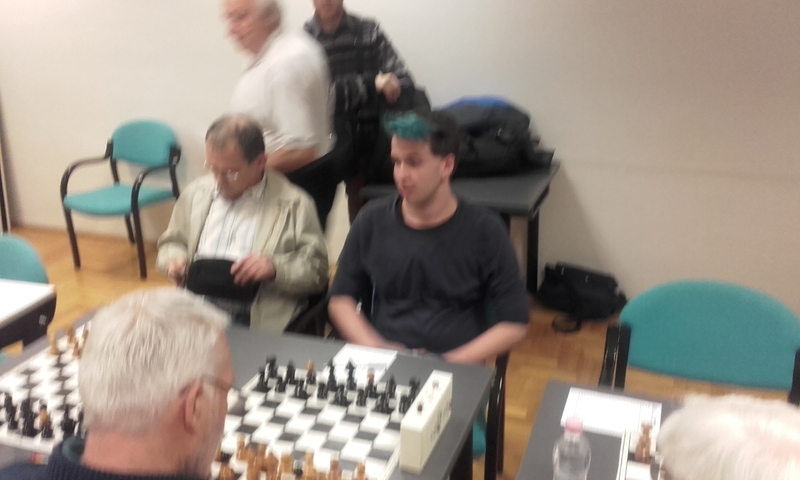 MTK played a player short. 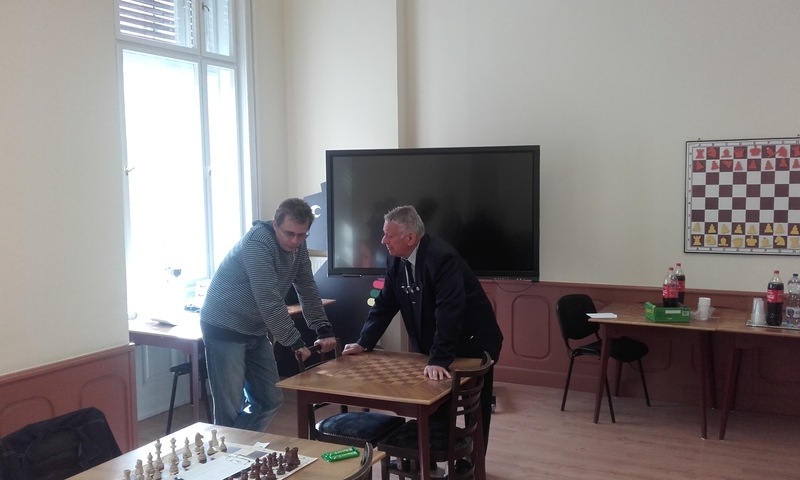 Not sure the result but I did not help. 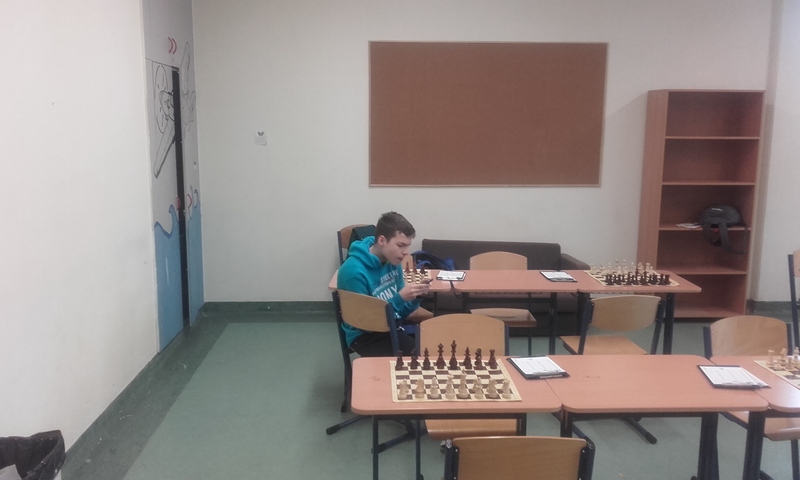 We won at least two games on board 1 and 3. 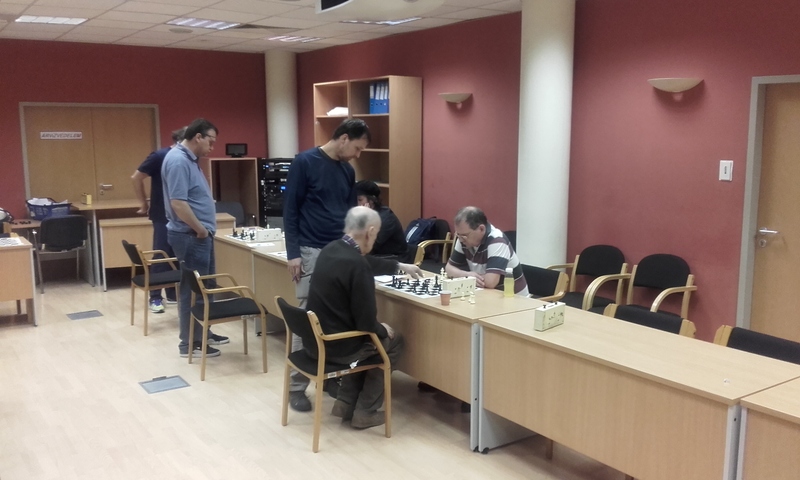 I thought the d-pawn was immune due to the eventual ..Nc3 fork and was quite happy when White took 14.Nxd5 but it turned out the neither play really knew what was happening. 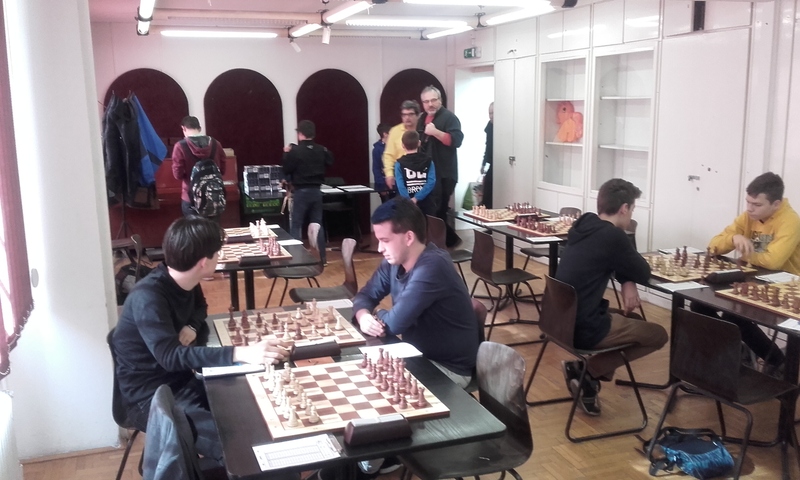 White got a key centre pawn, the bishop-pair and a strong kingside attack which I eventually fell to after missing a nice defensive idea. 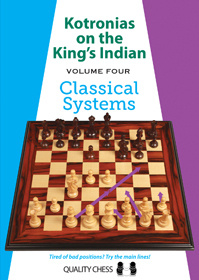 More on the King’s Indian by Kotronias. 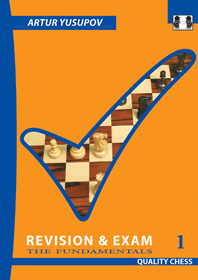 A cool instructional book. 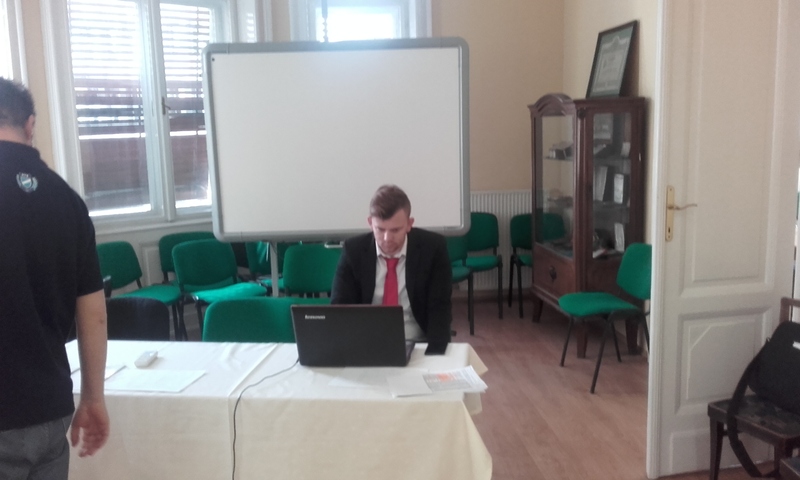 No announced publication date for Revision and Exam by Yusupov but coming in spring. 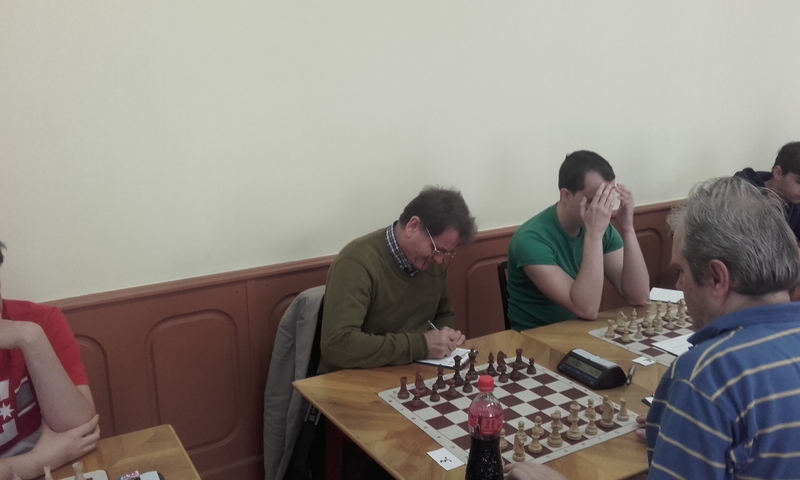 I won a key central pawn in the opening but fell behind in development doing so. 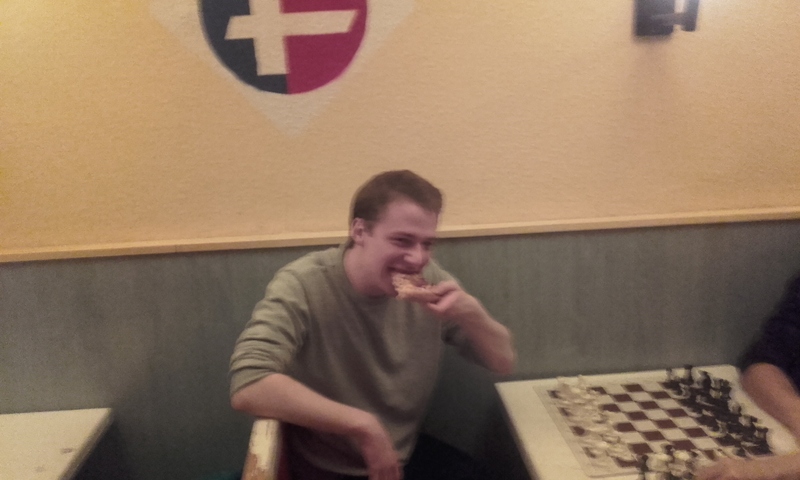 Somewhere along the conversion process many mistakes were made but White felt compelled to make an unsound piece sacrifice. 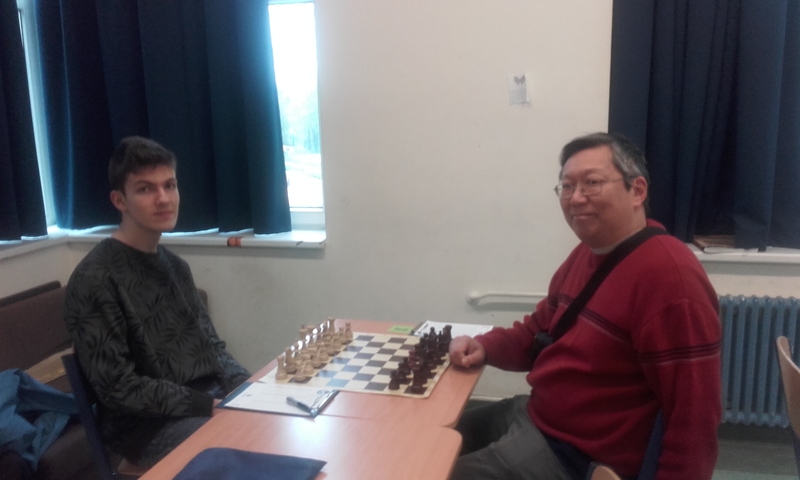 I continued with 32..Qxa2 and won quickly as all White had was a harmless check. 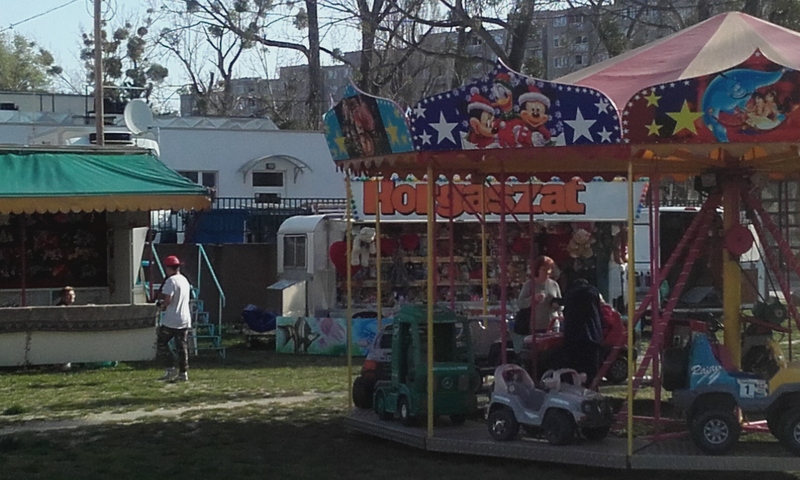 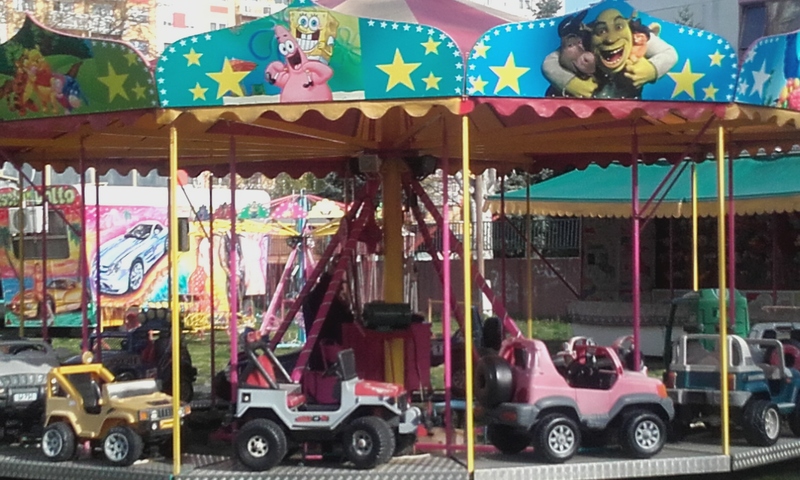 The area was quite interesting.